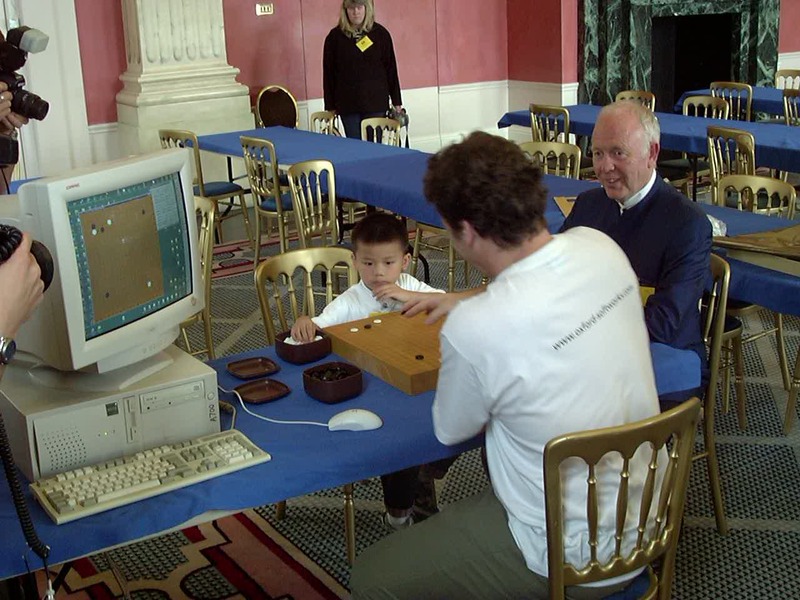 You can click on any of these pictures to see a large version. 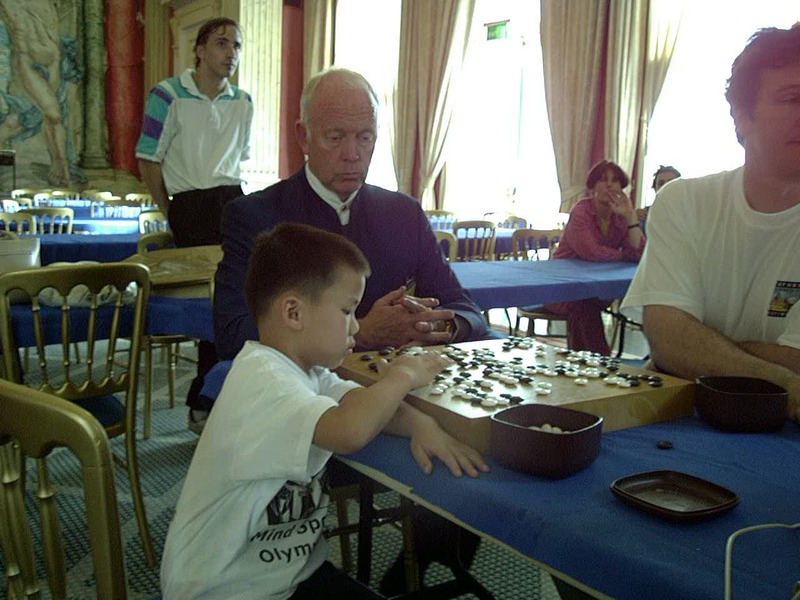 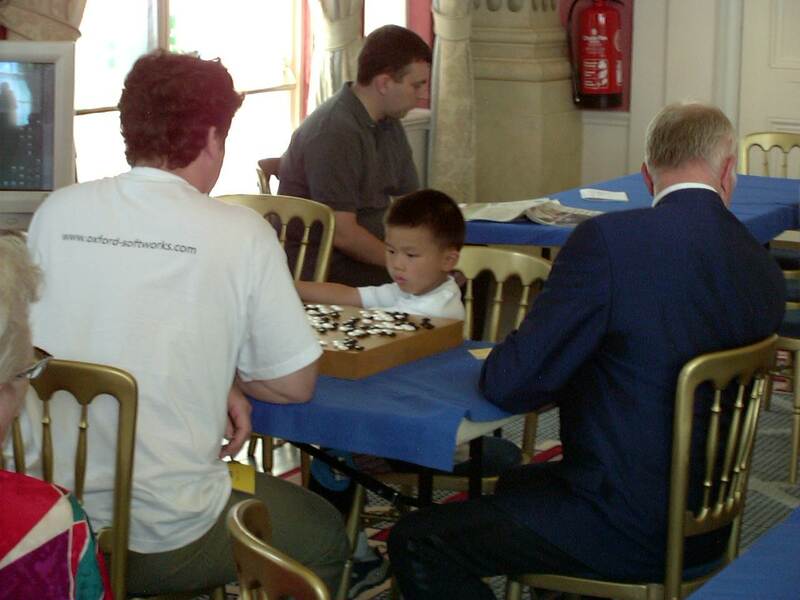 The images on this page are taken, with consent, from the Mind Sports Olympiad web site. 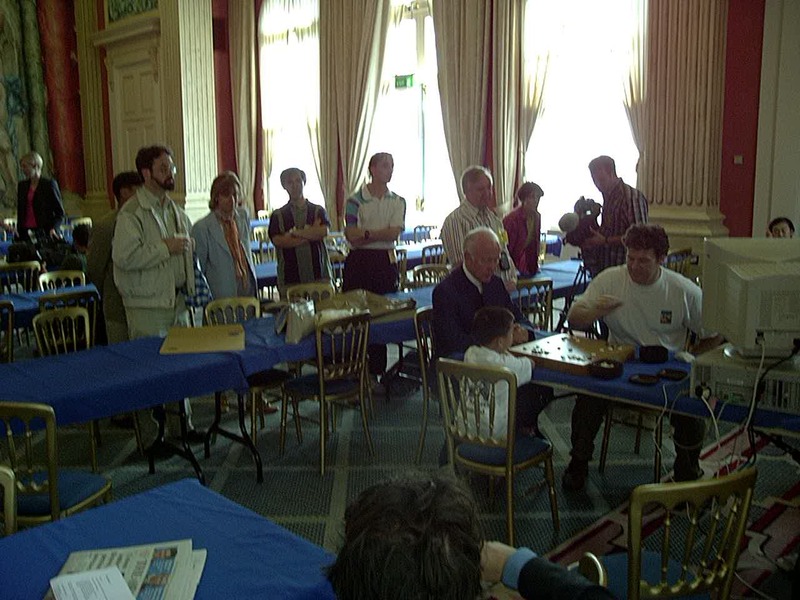 Almost all of them were taken by John "MazeMan" Knoderer. 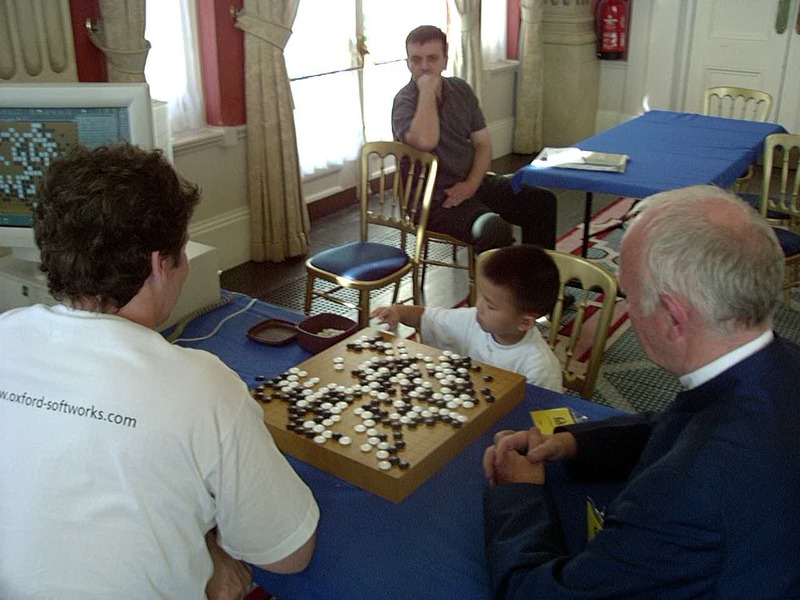 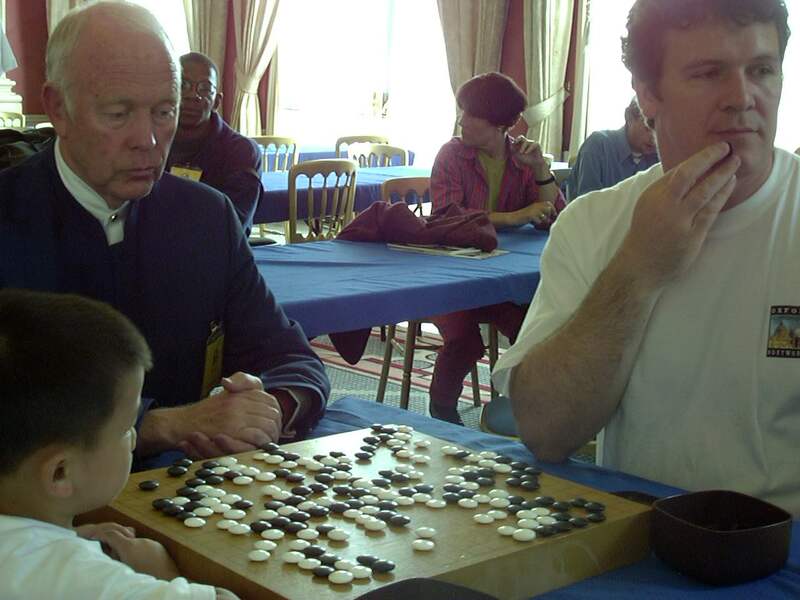 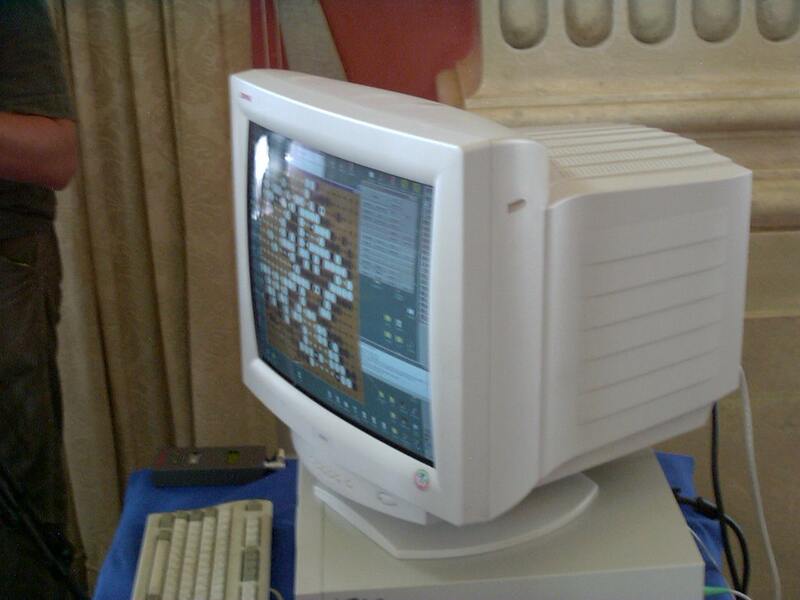 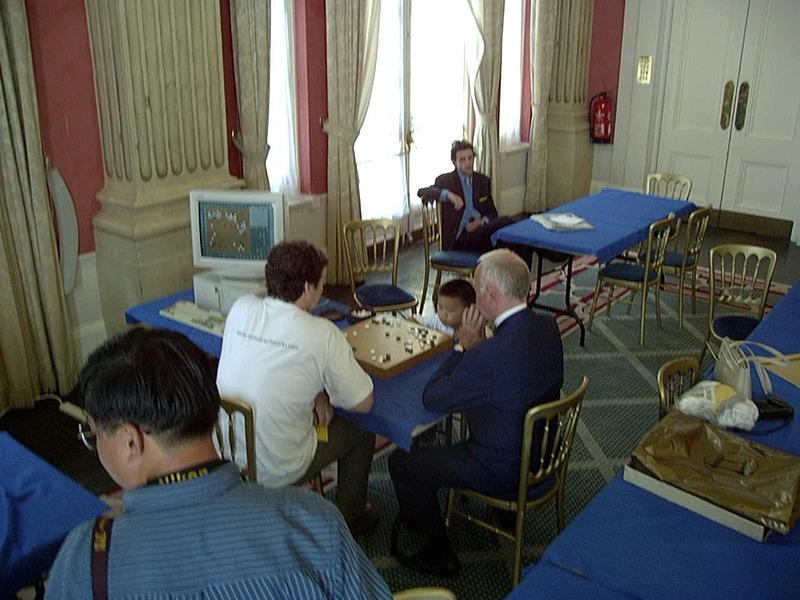 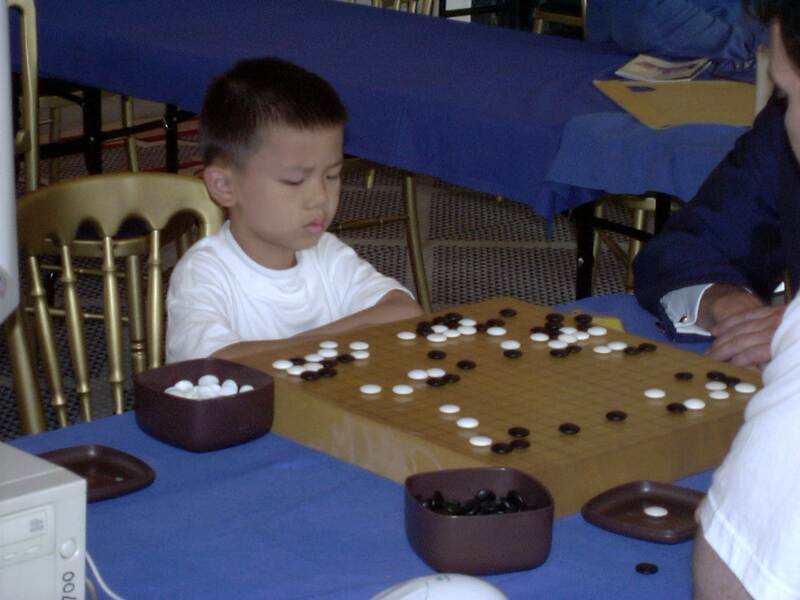 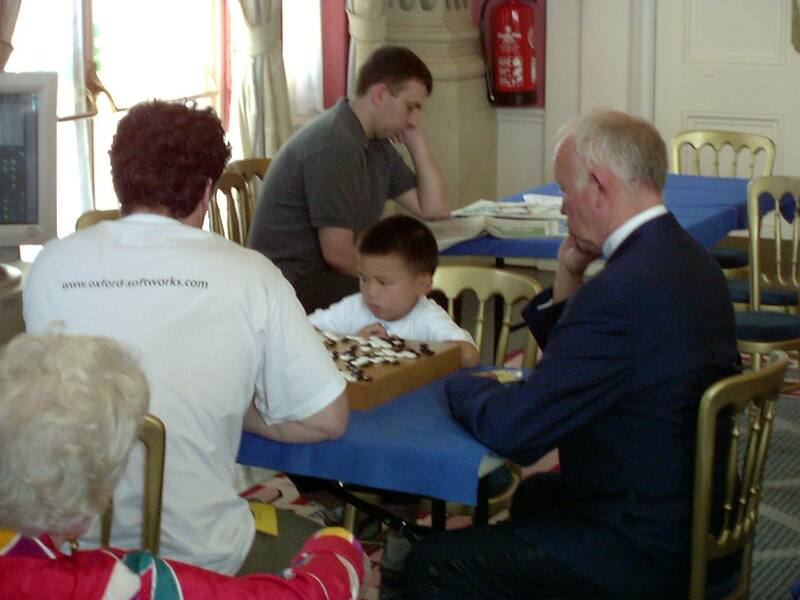 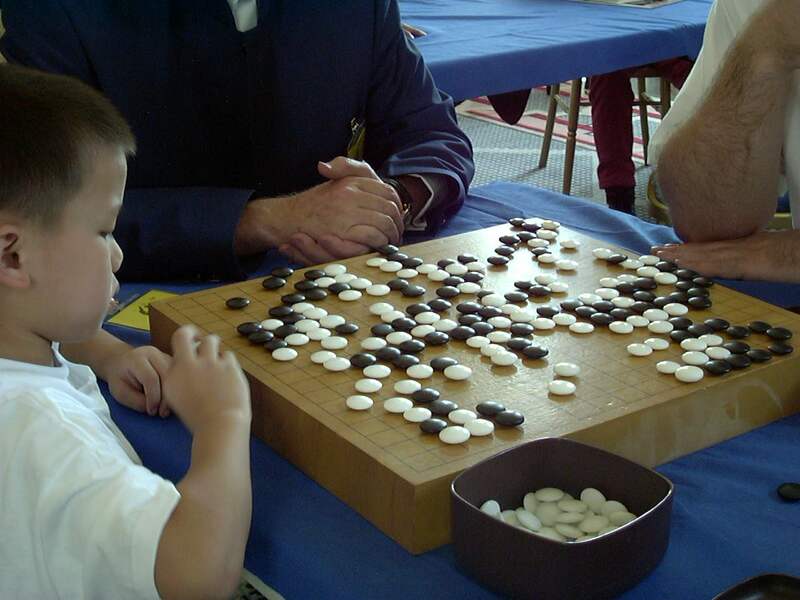 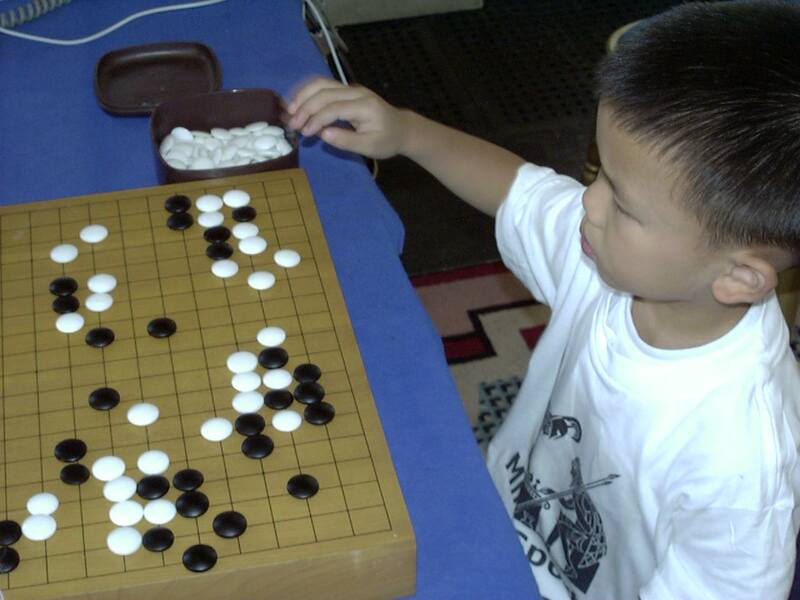 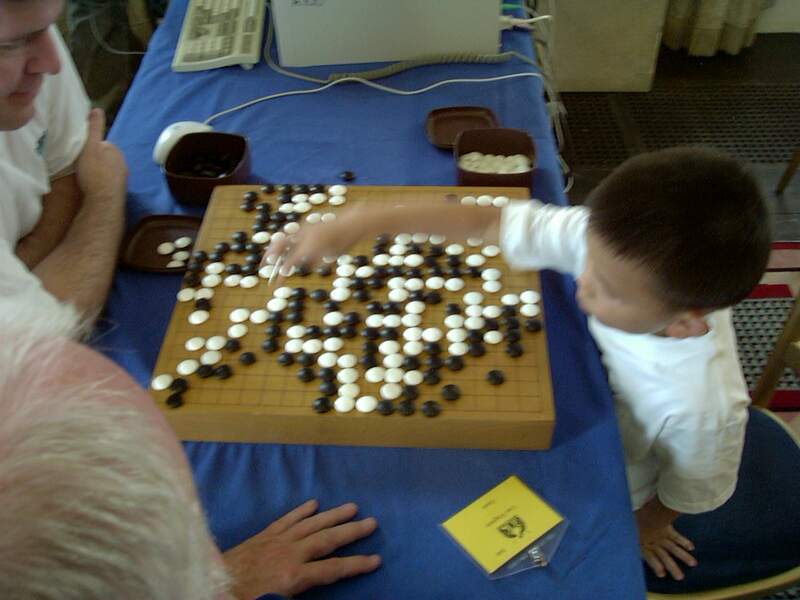 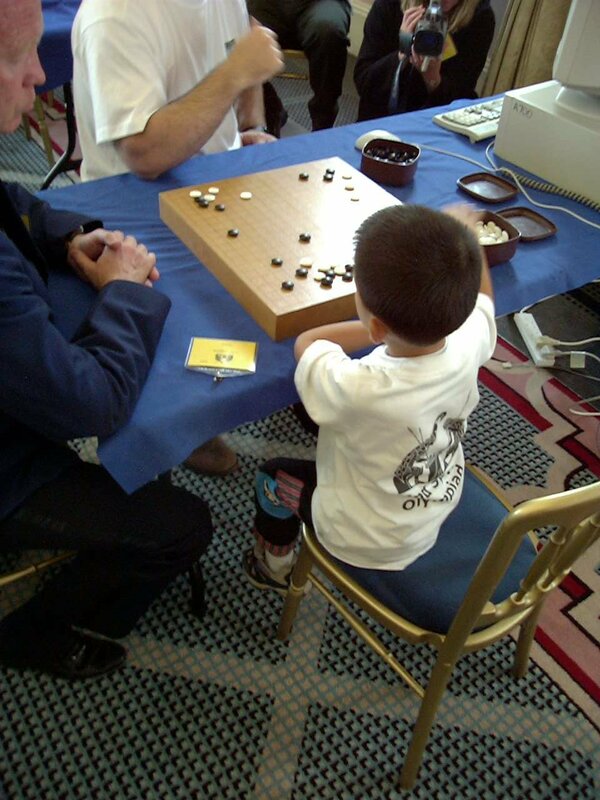 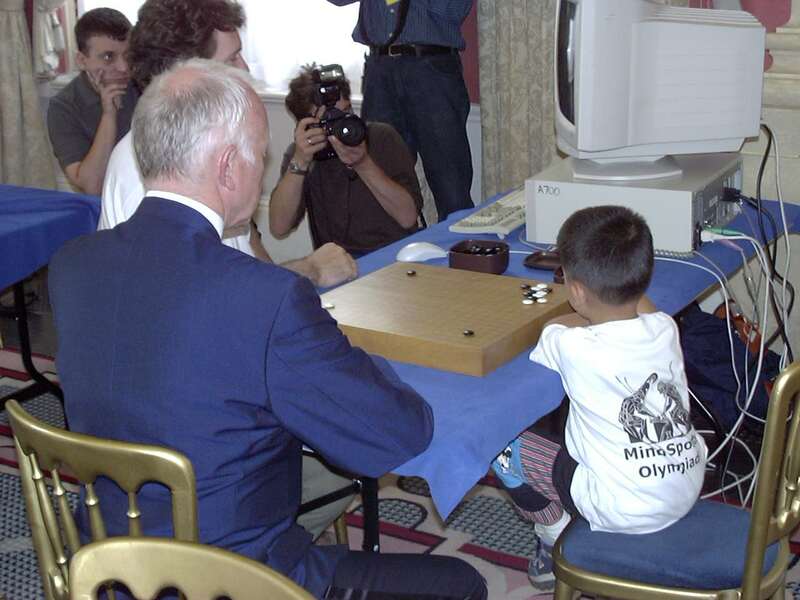 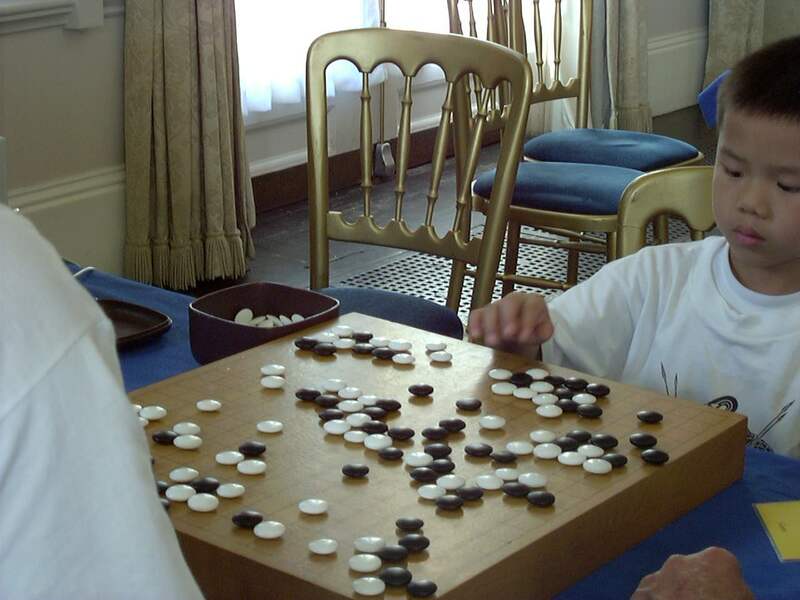 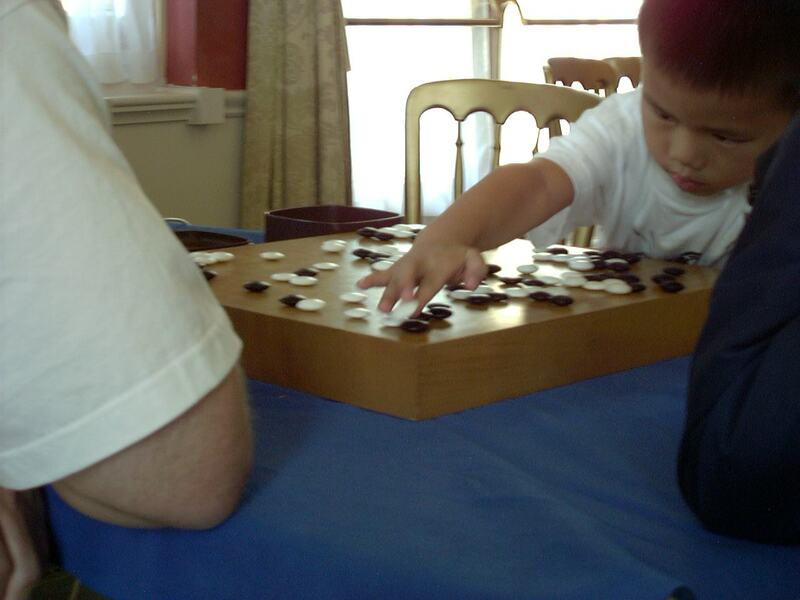 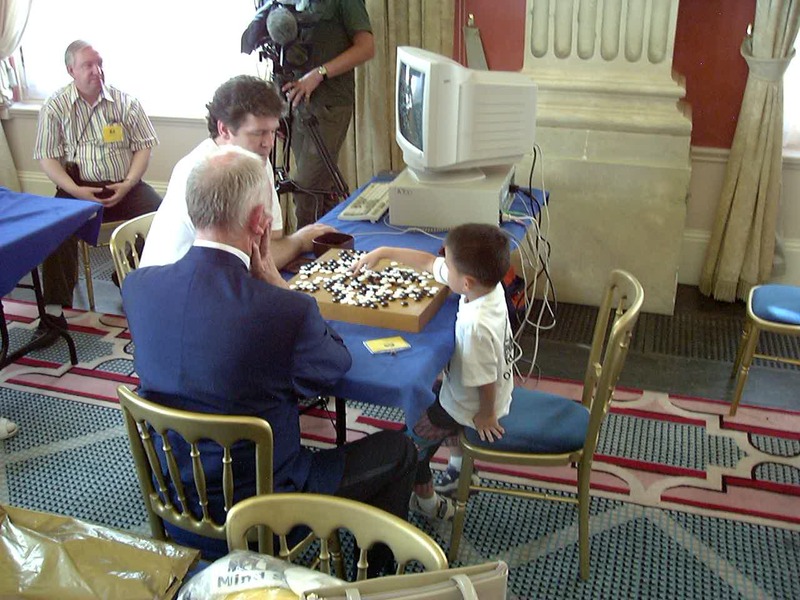 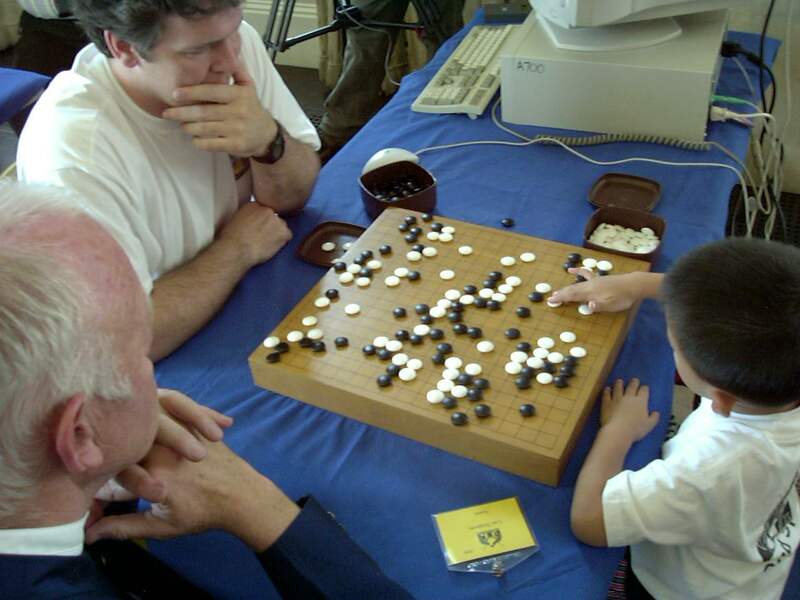 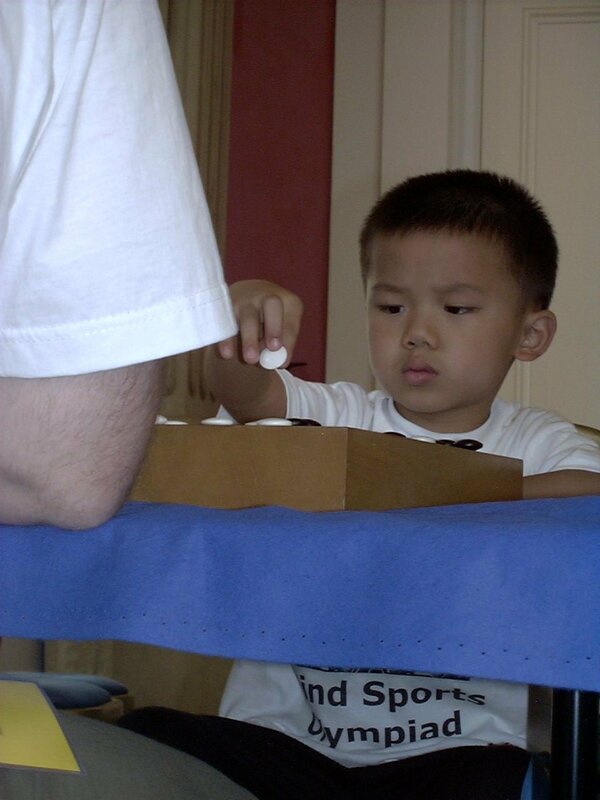 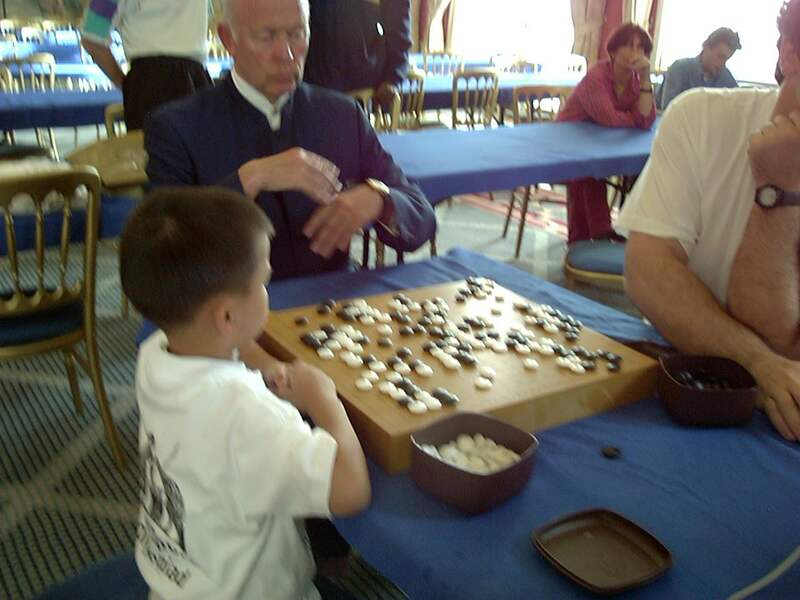 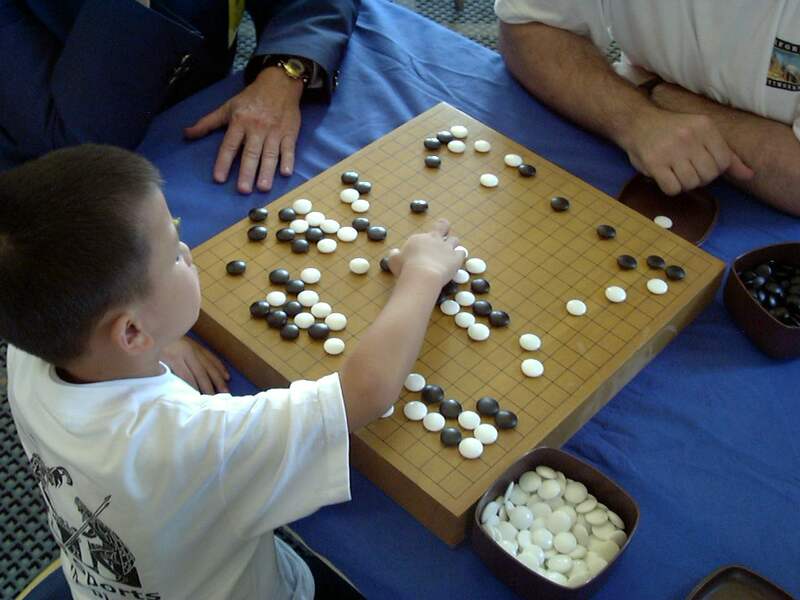 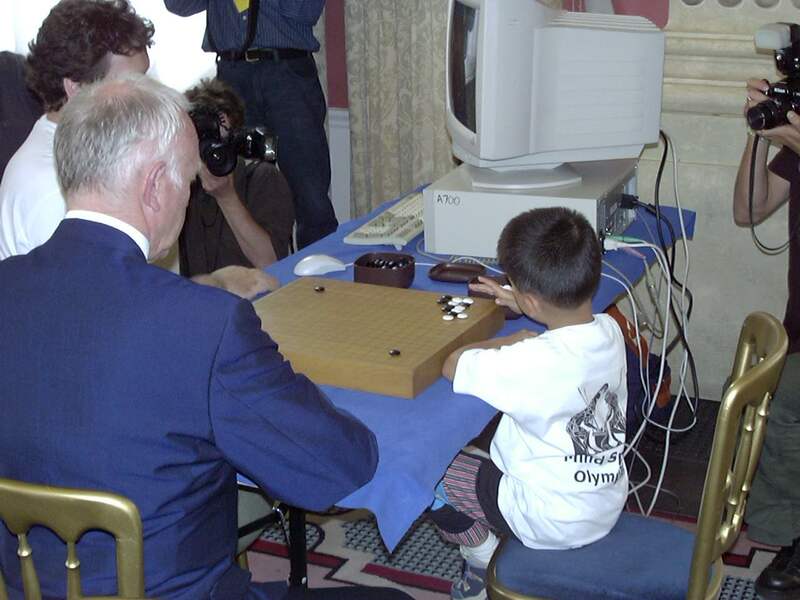 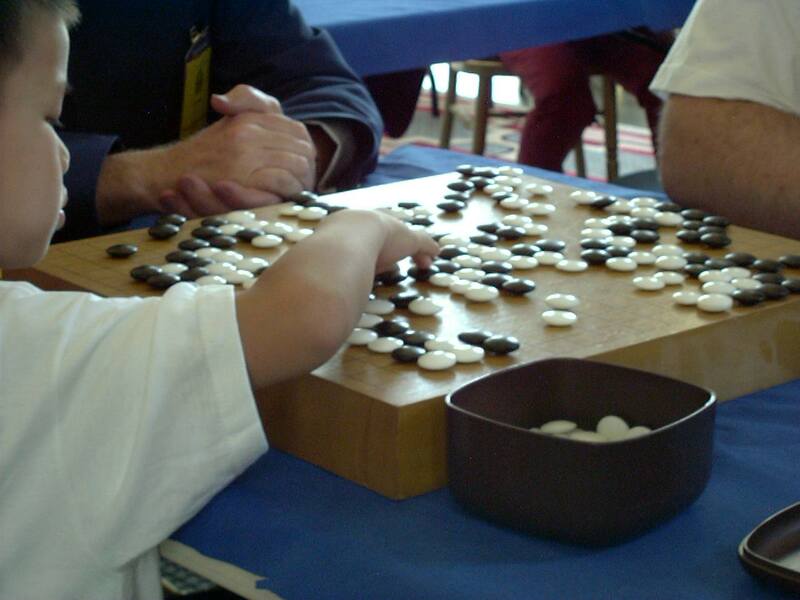 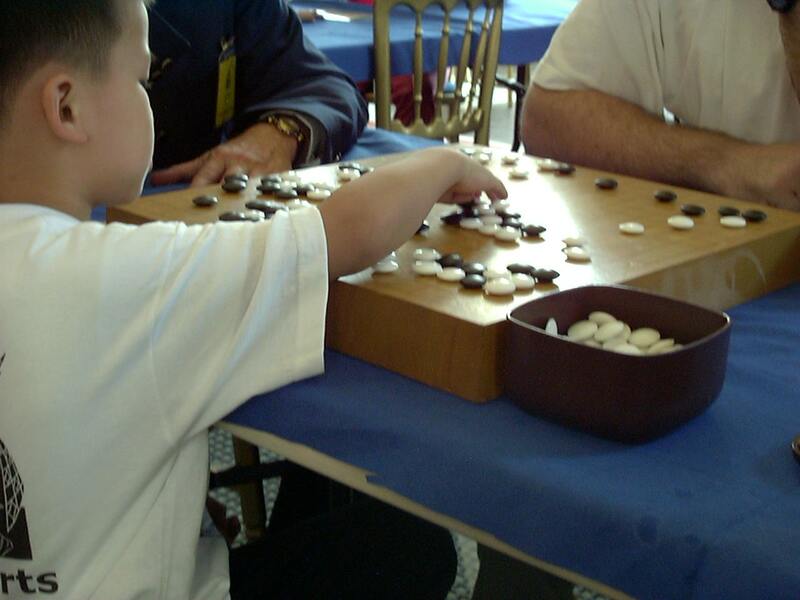 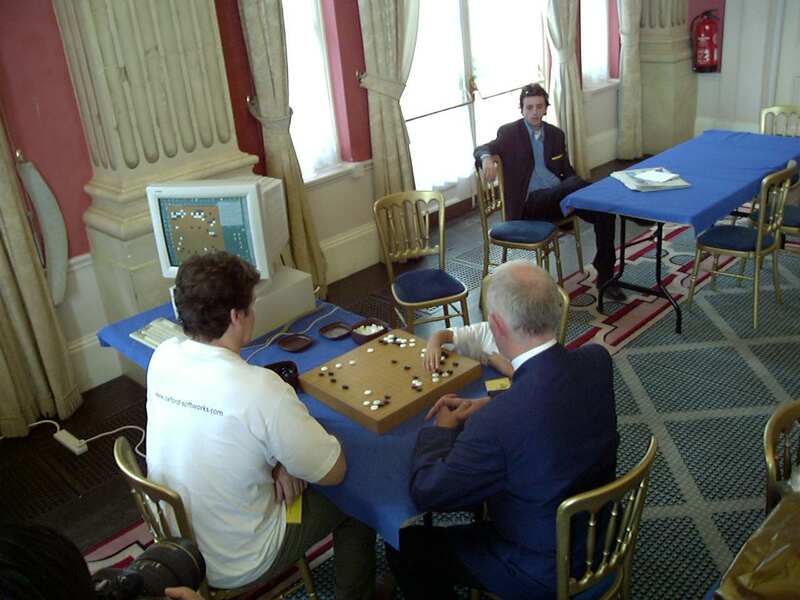 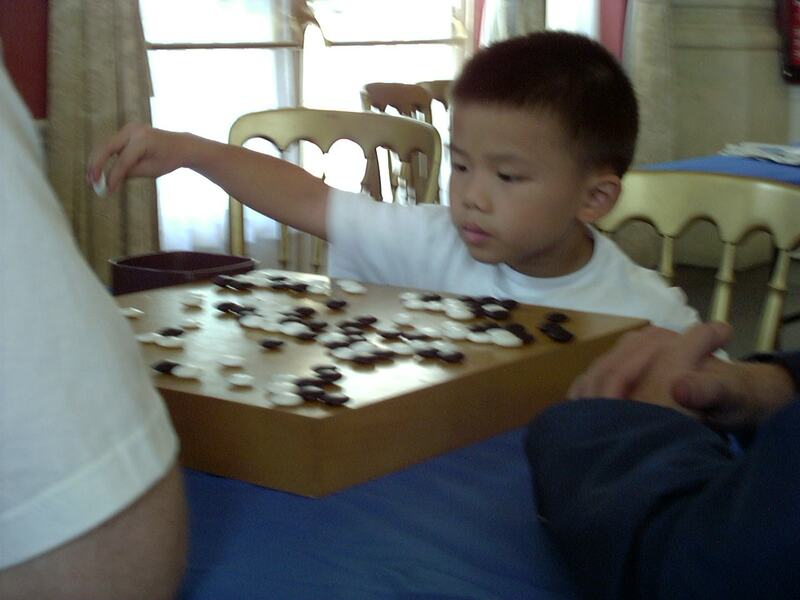 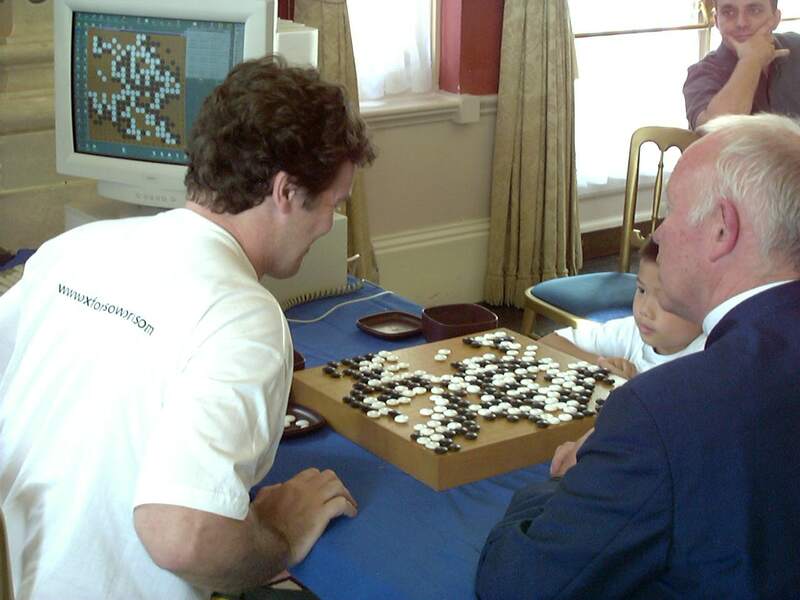 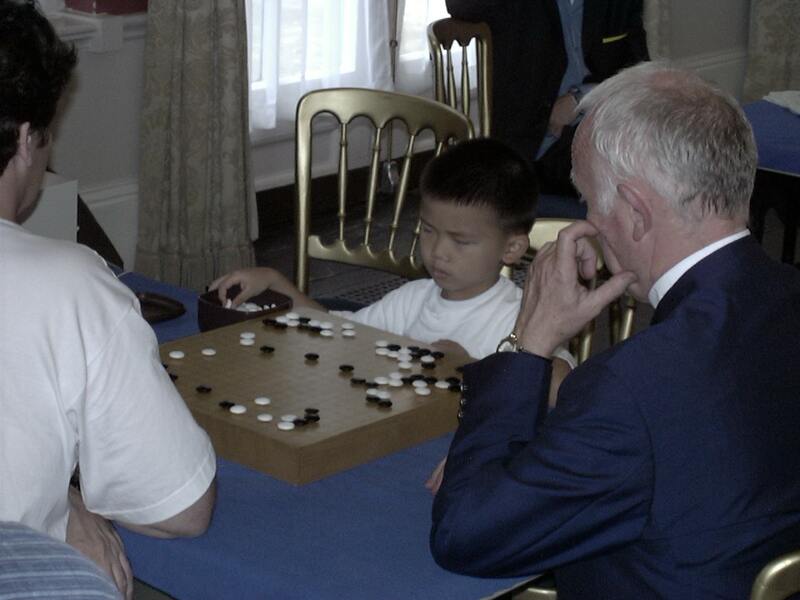 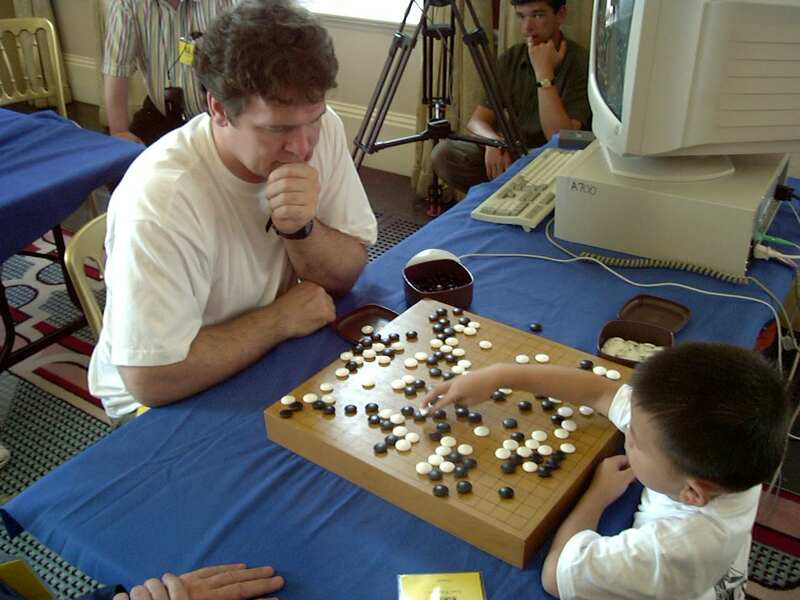 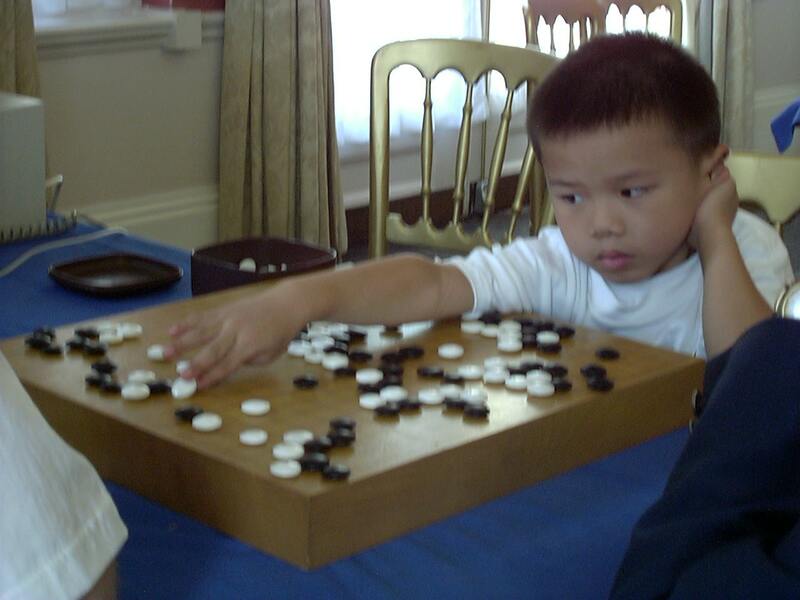 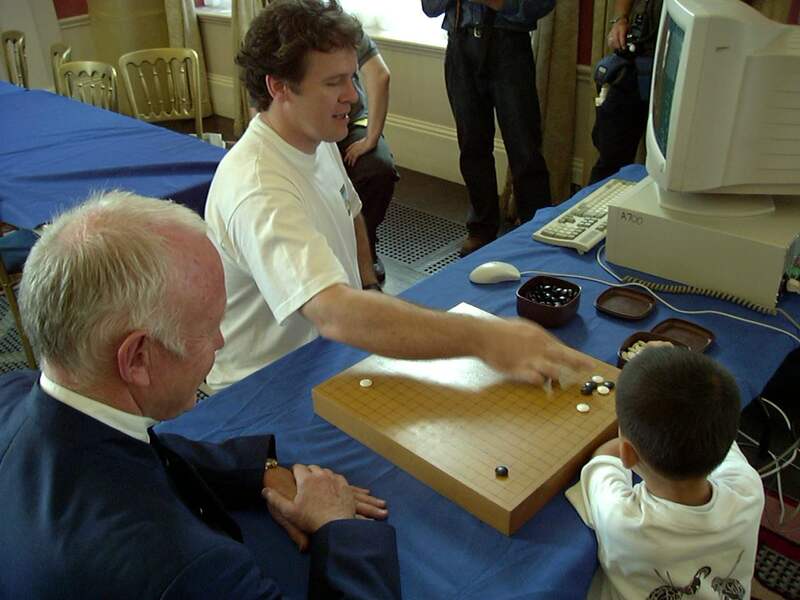 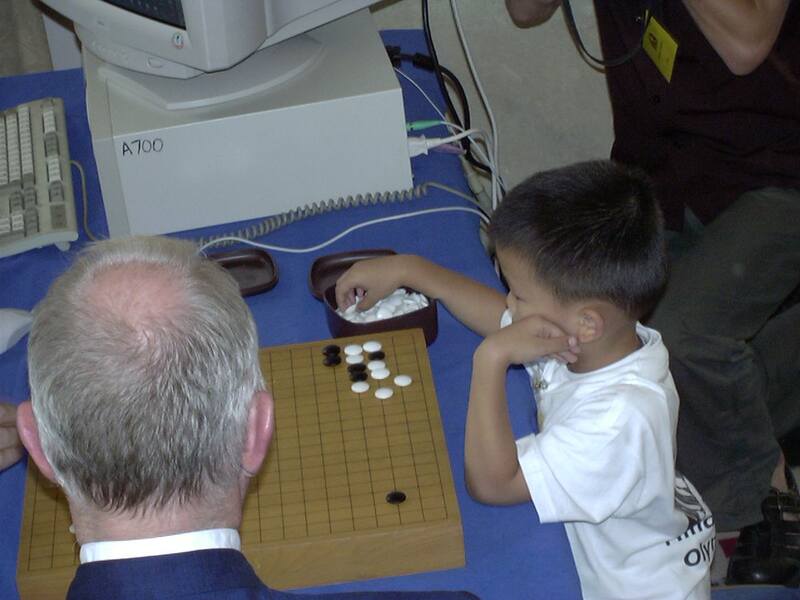 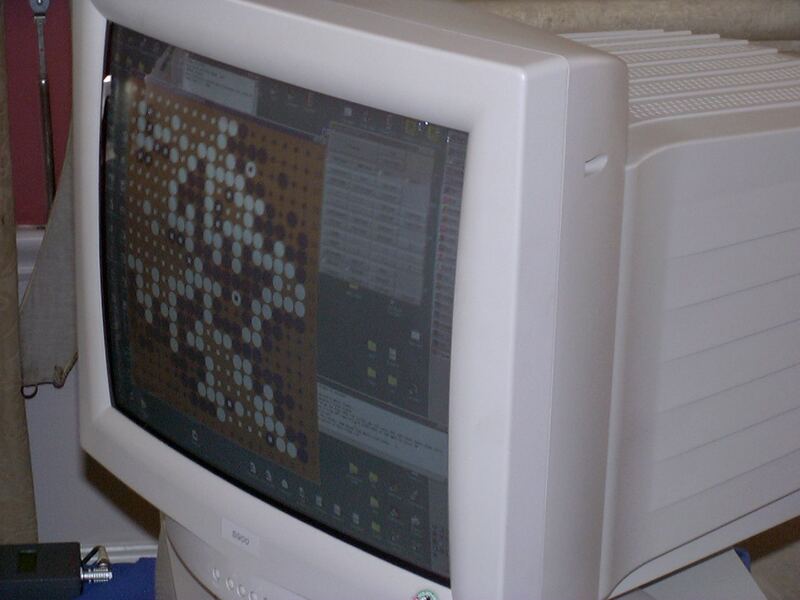 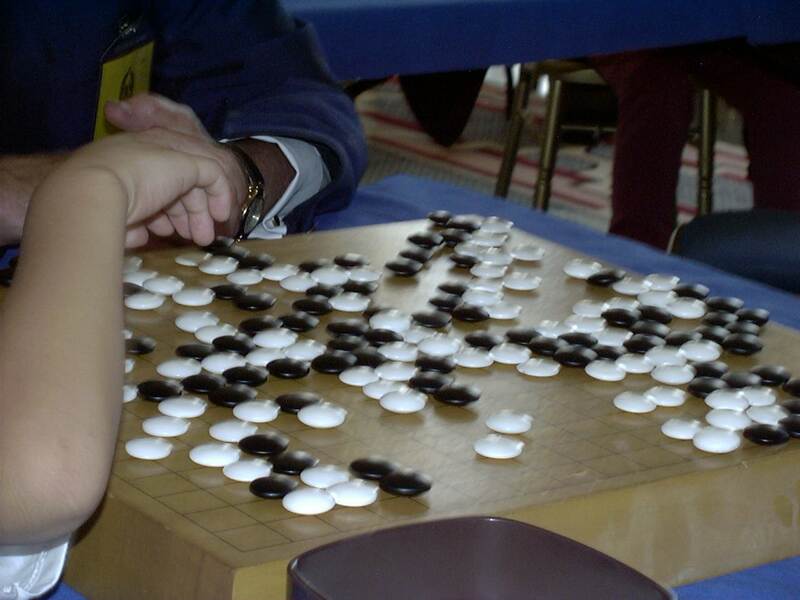 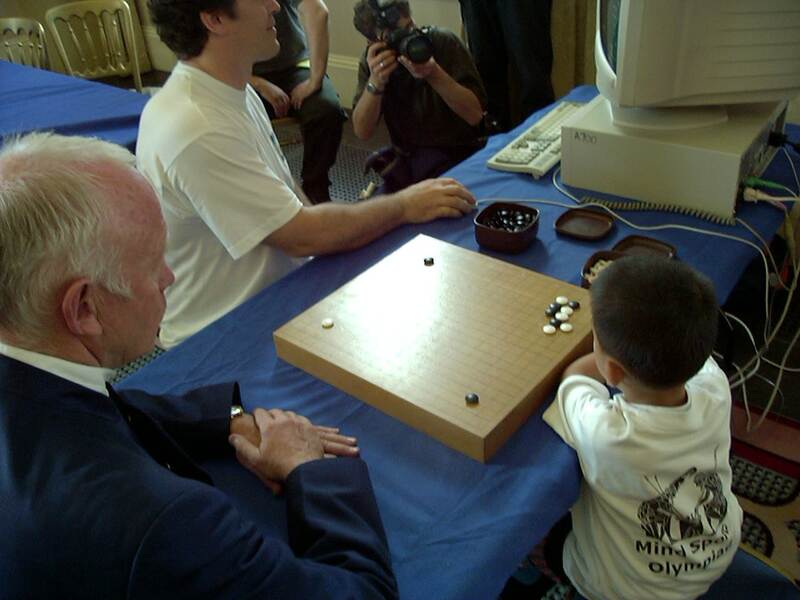 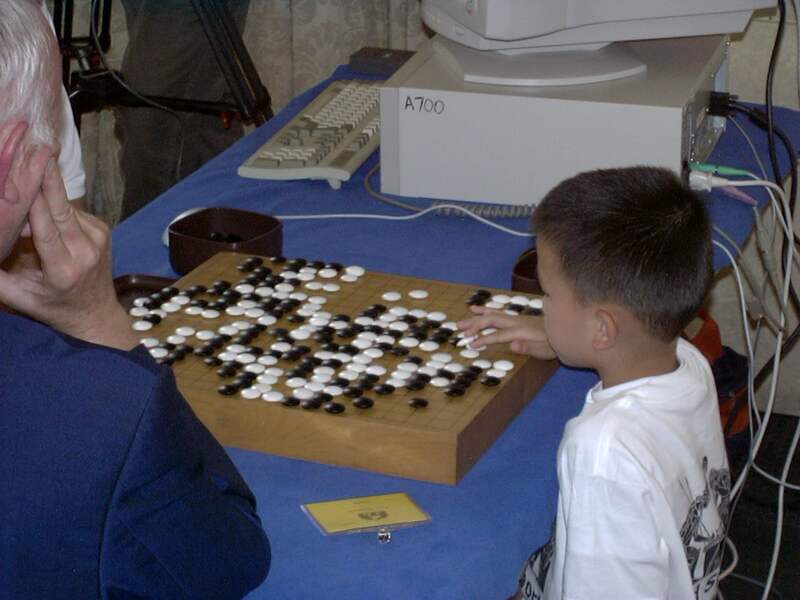 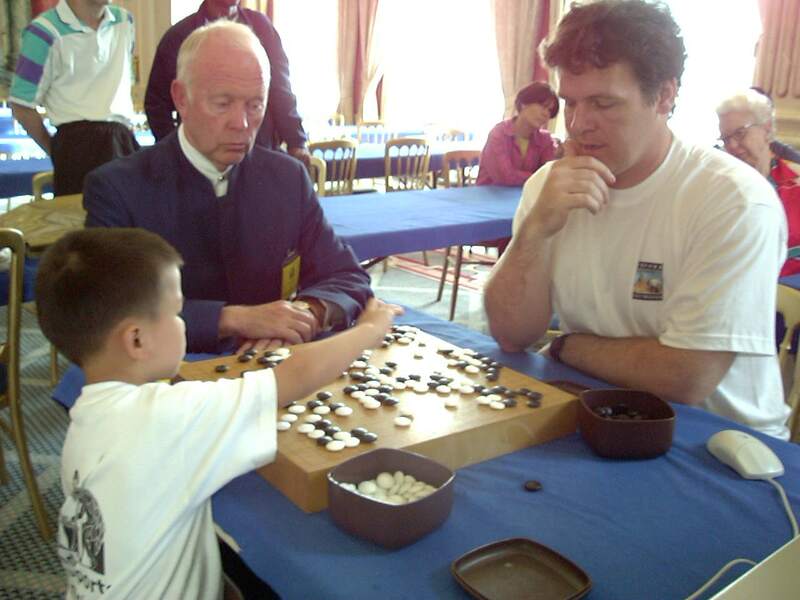 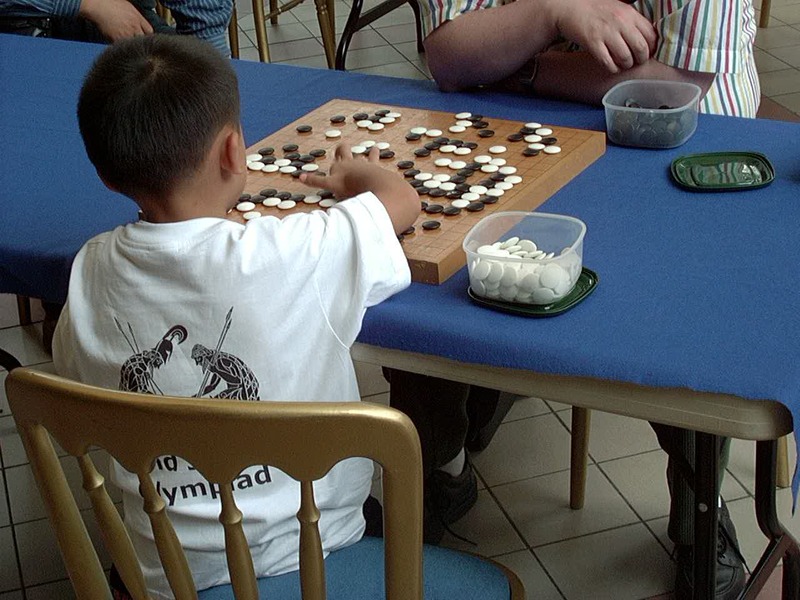 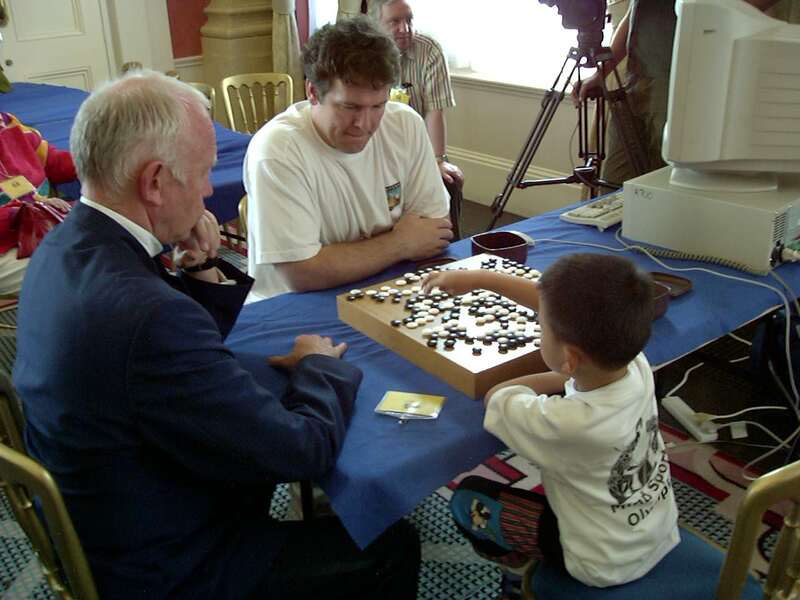 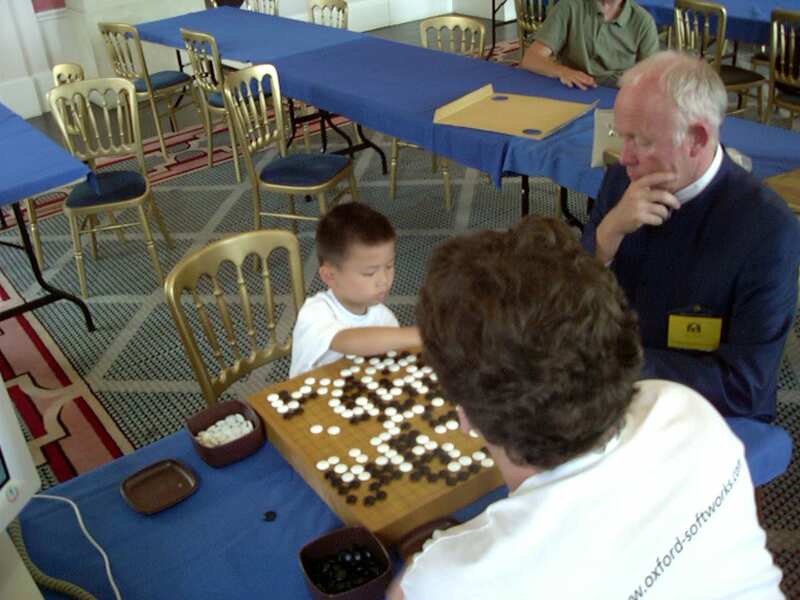 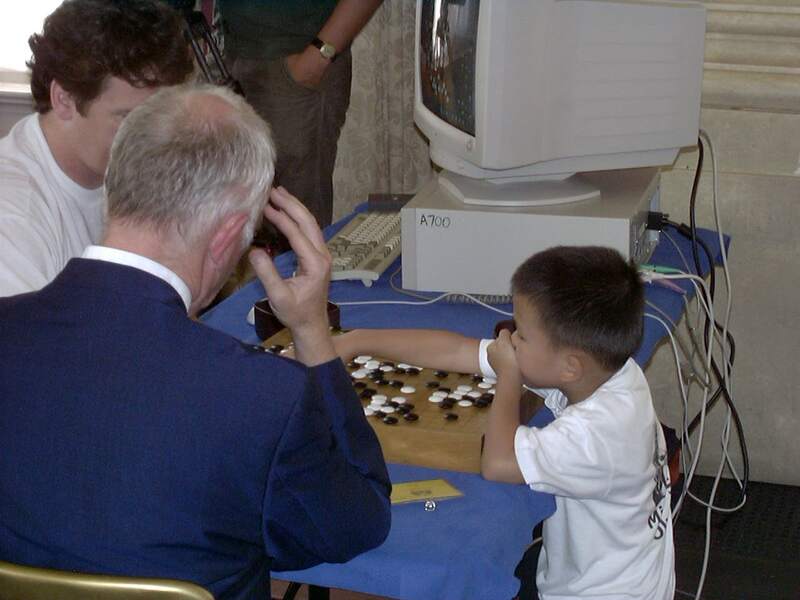 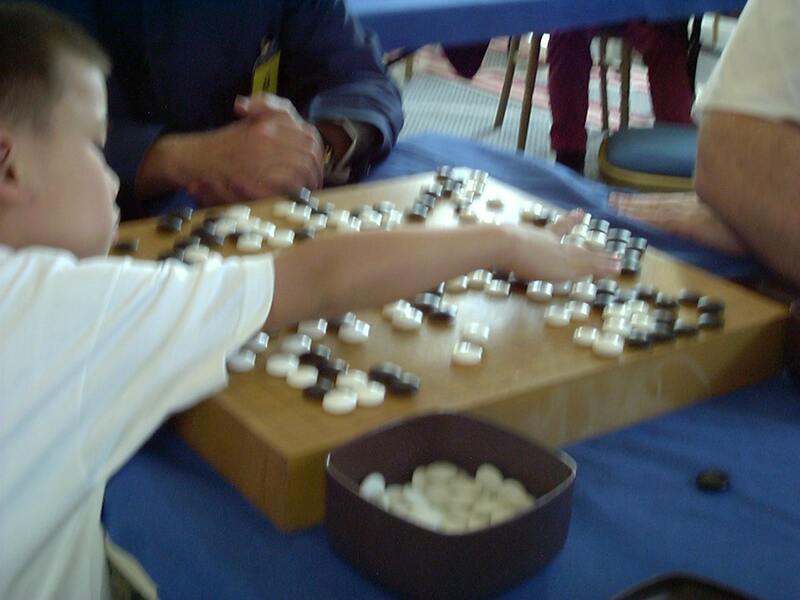 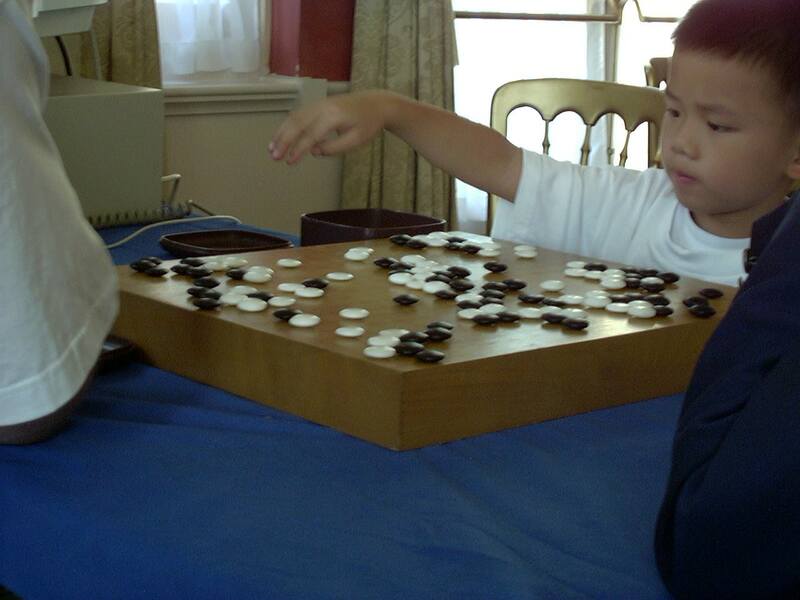 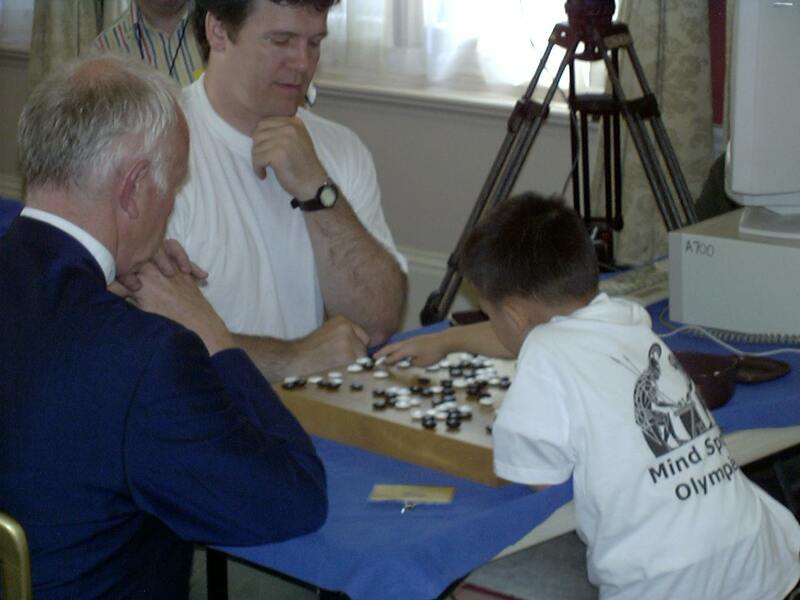 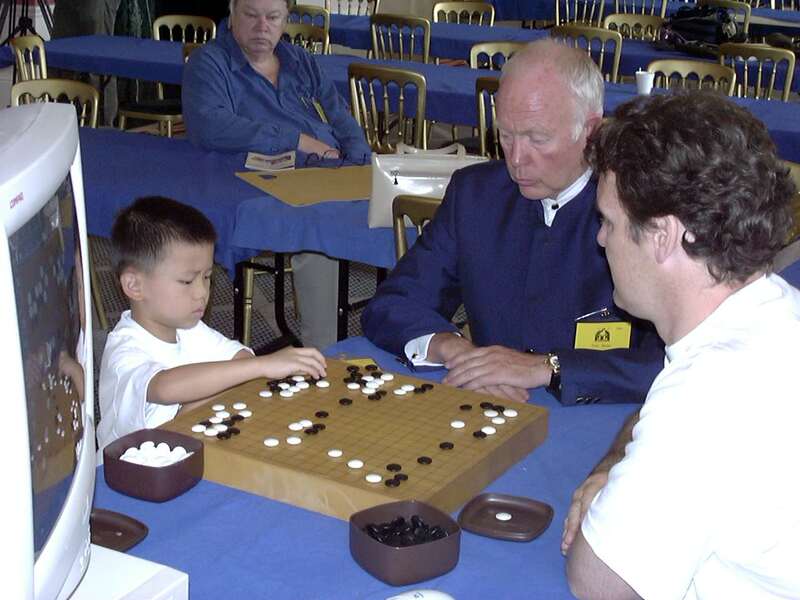 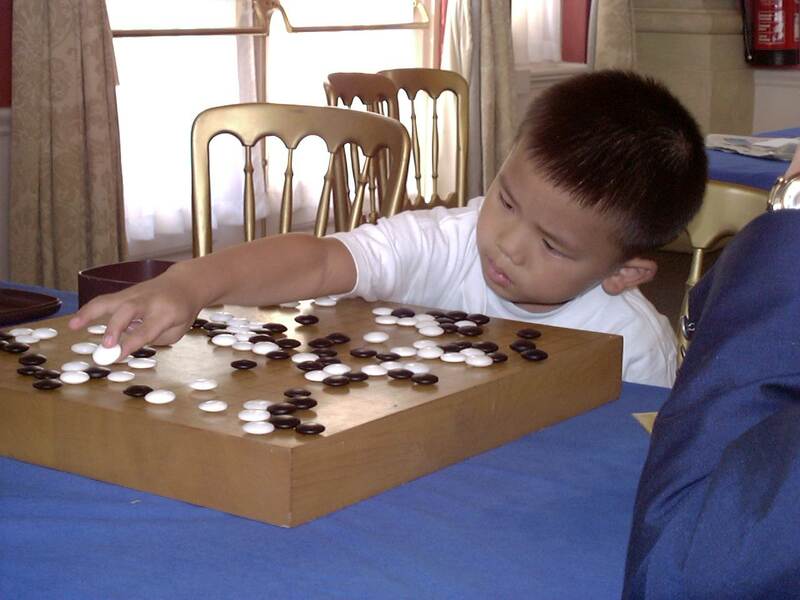 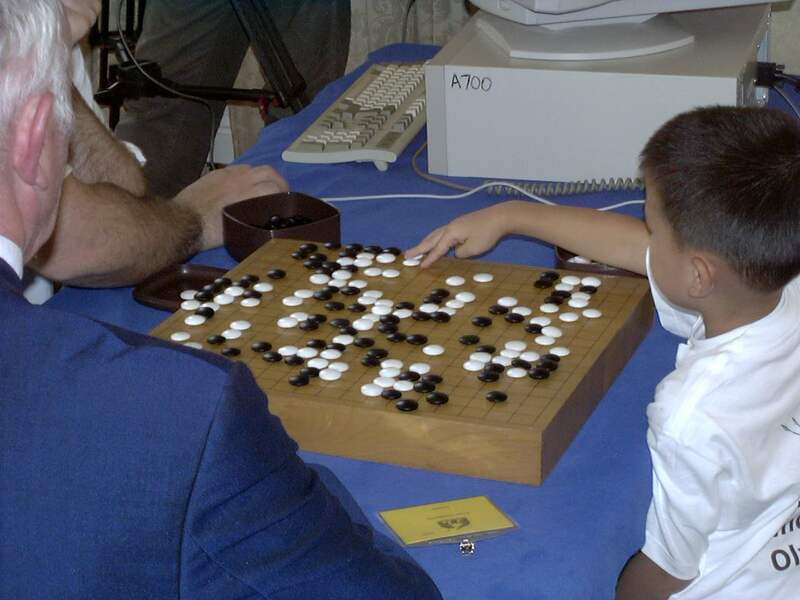 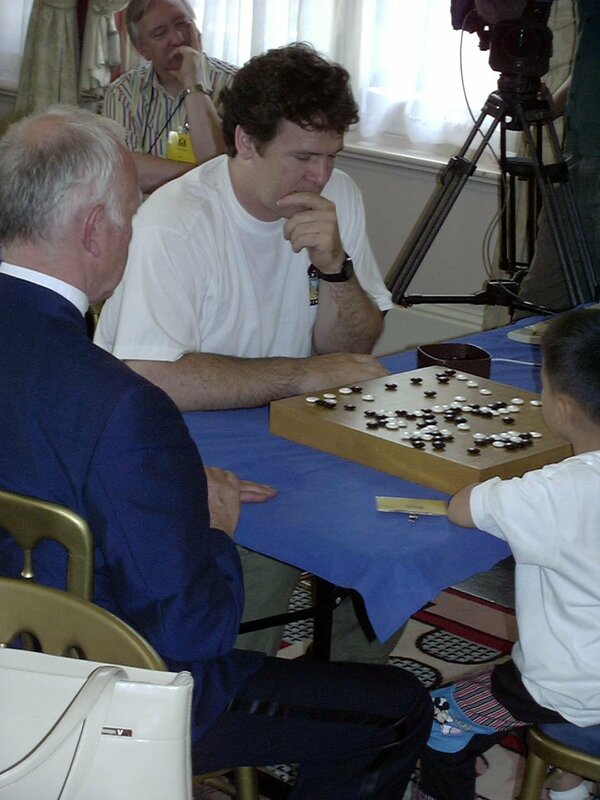 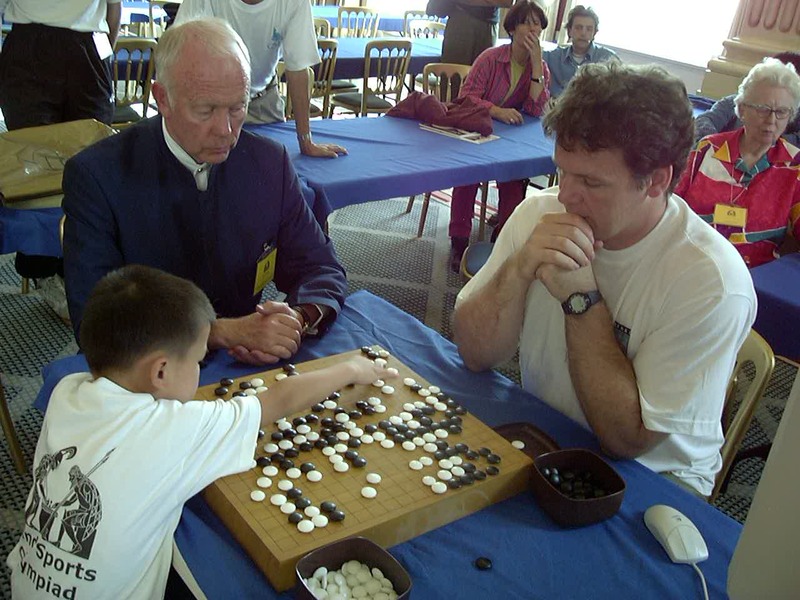 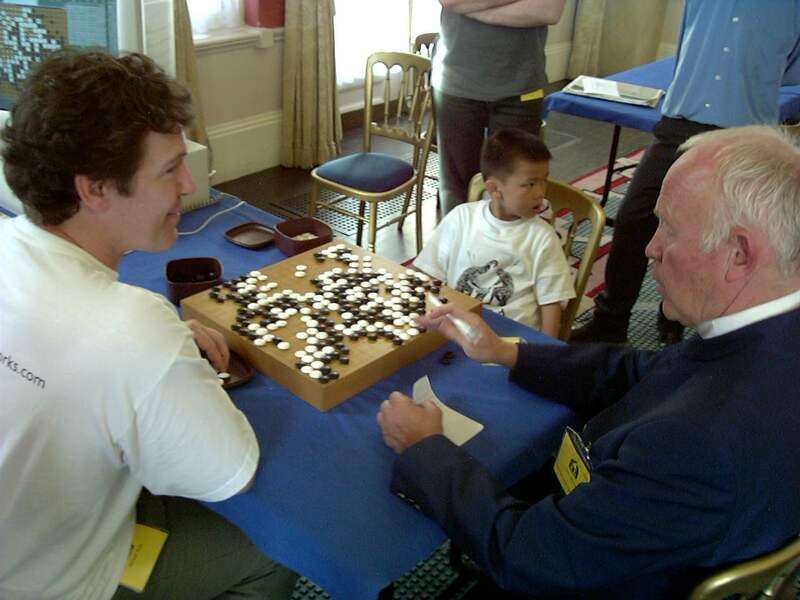 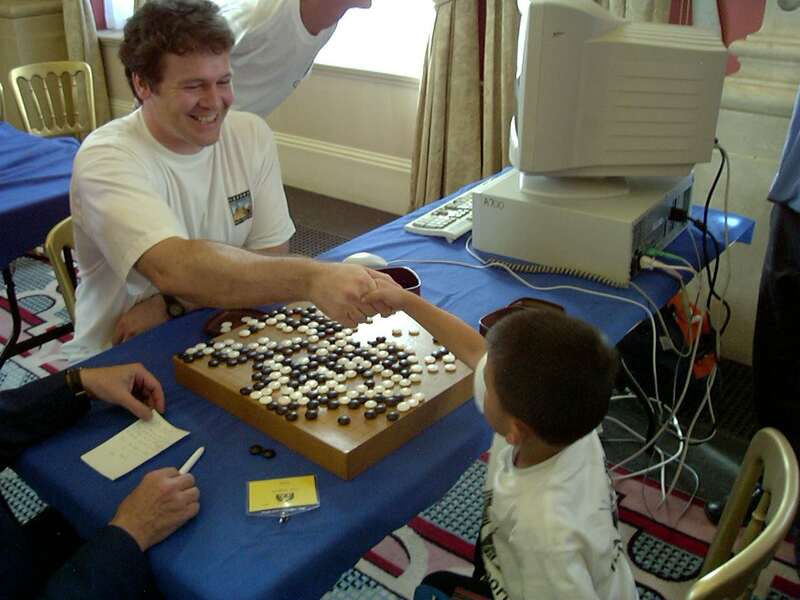 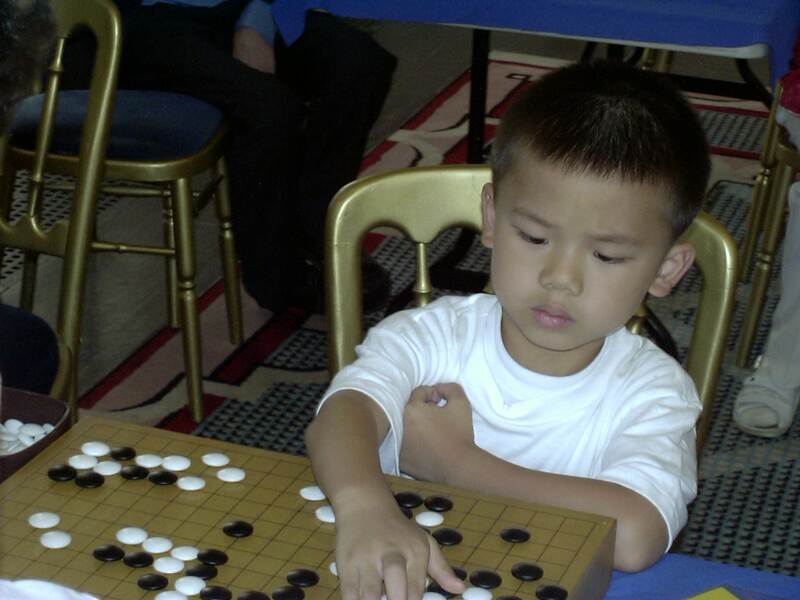 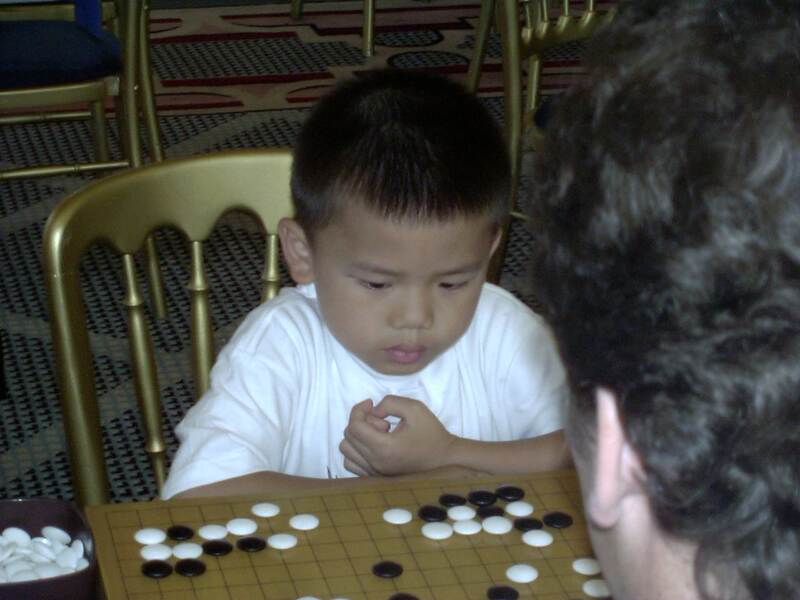 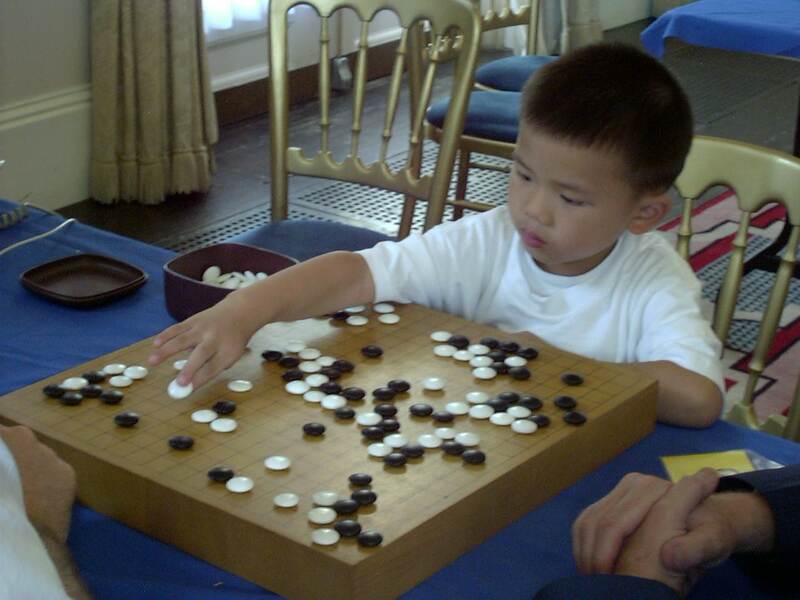 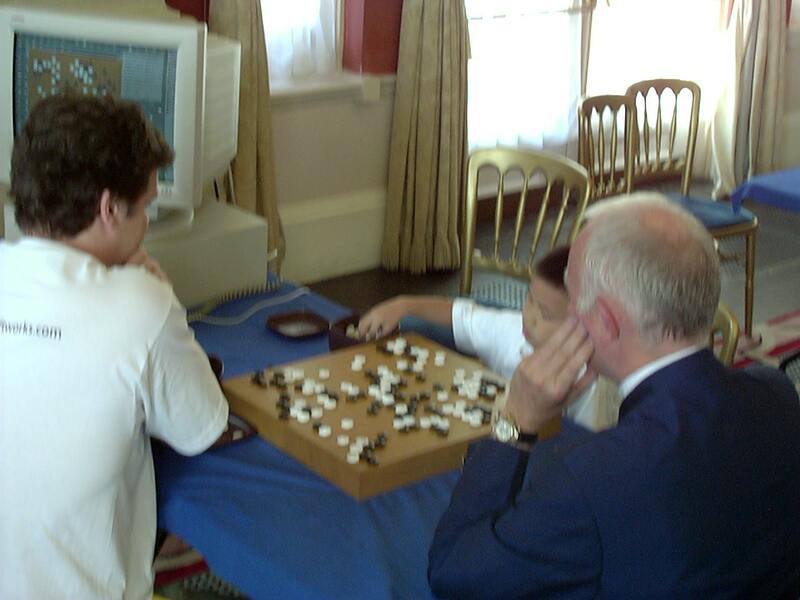 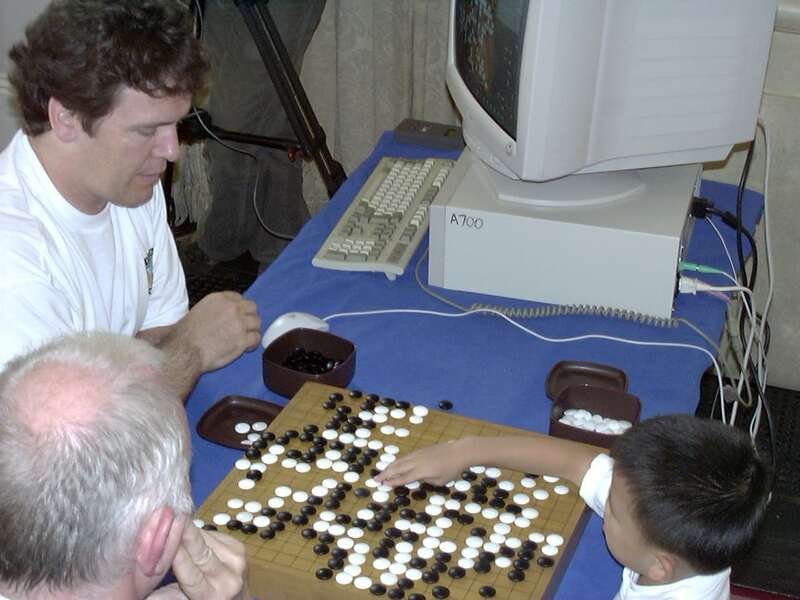 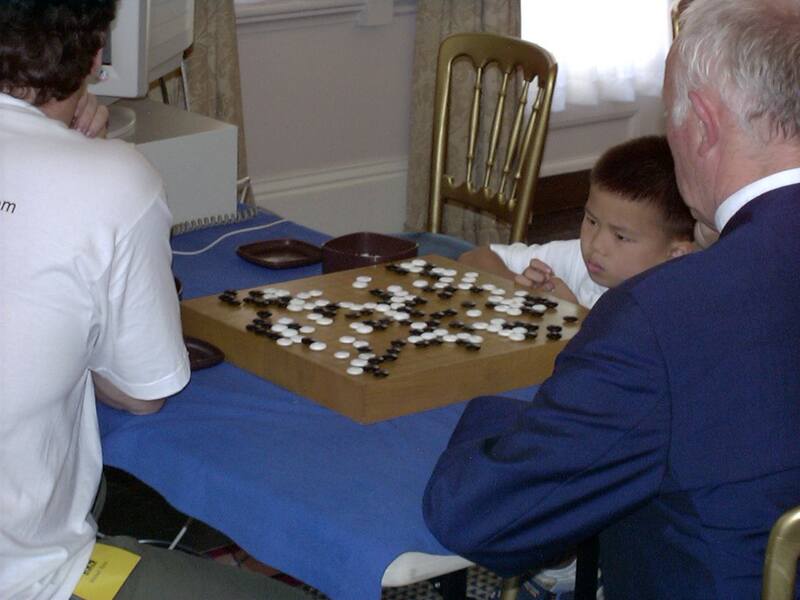 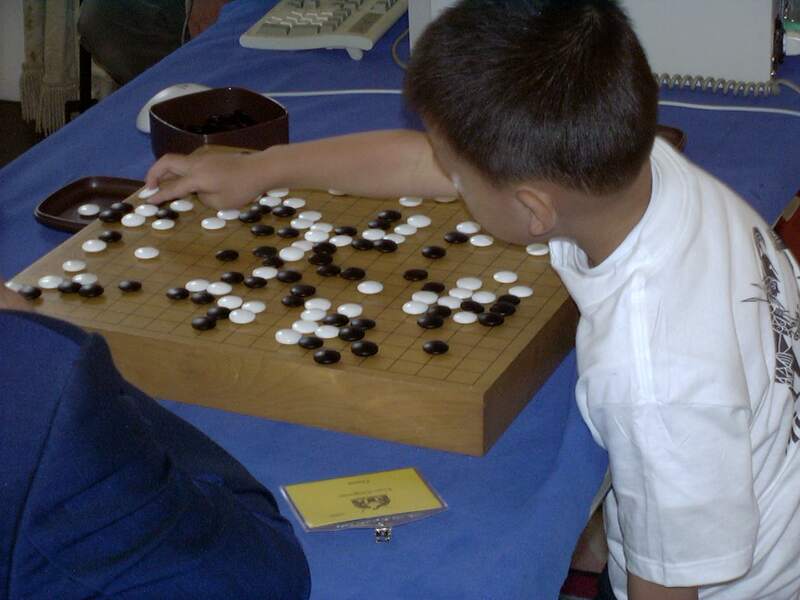 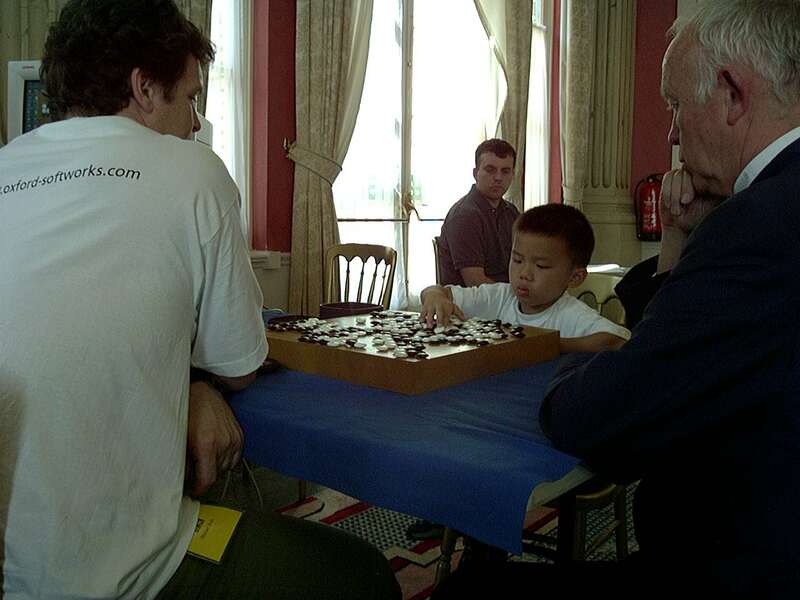 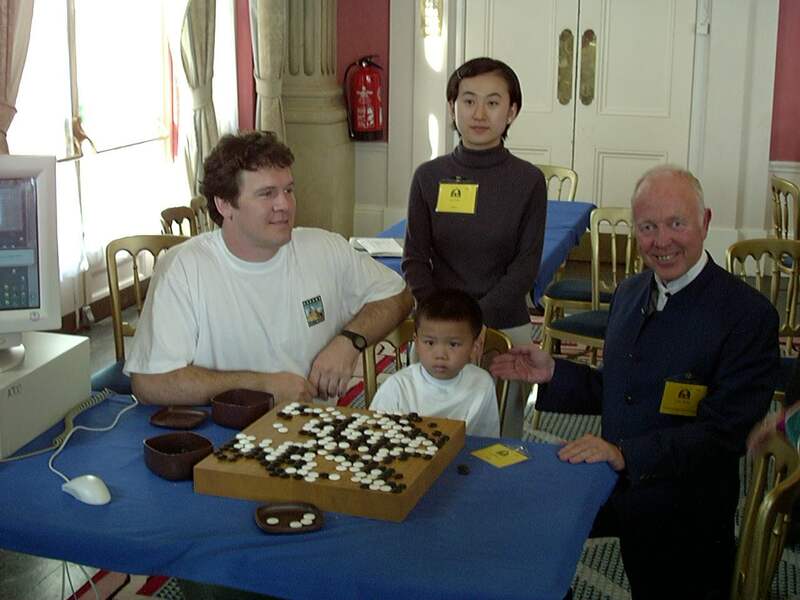 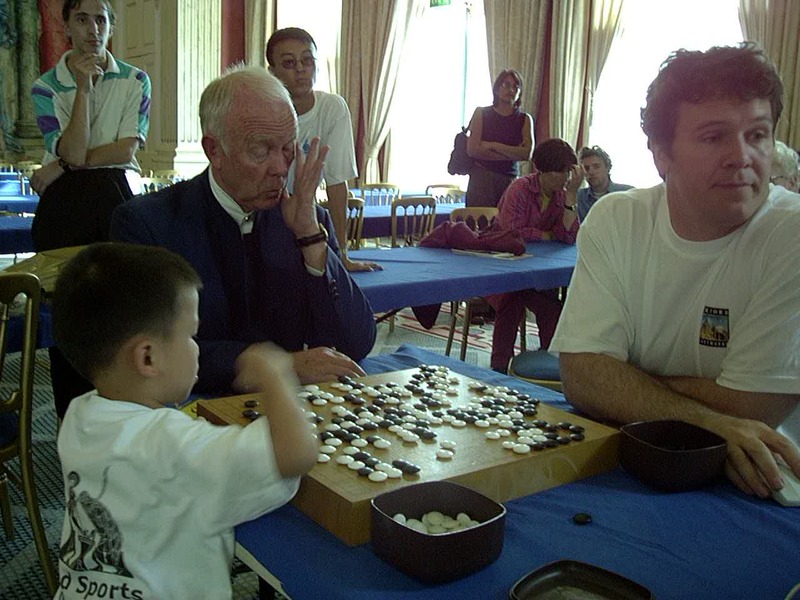 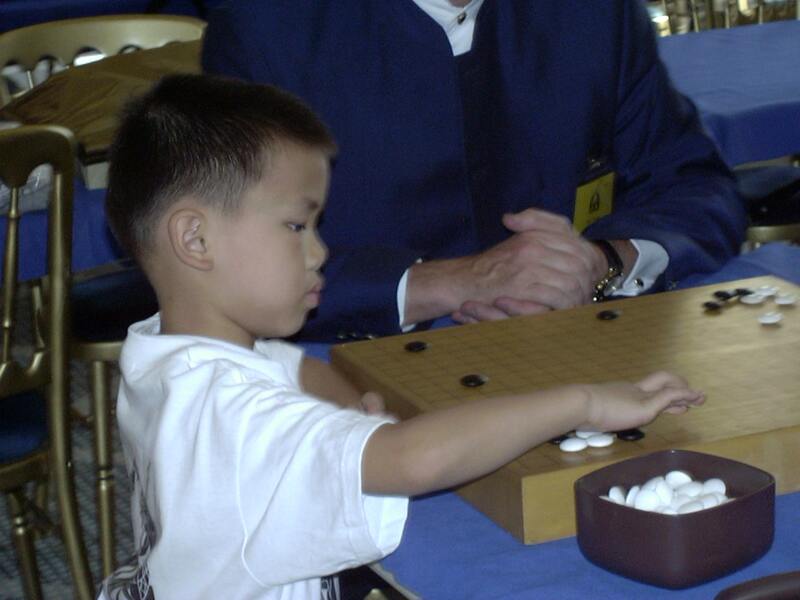 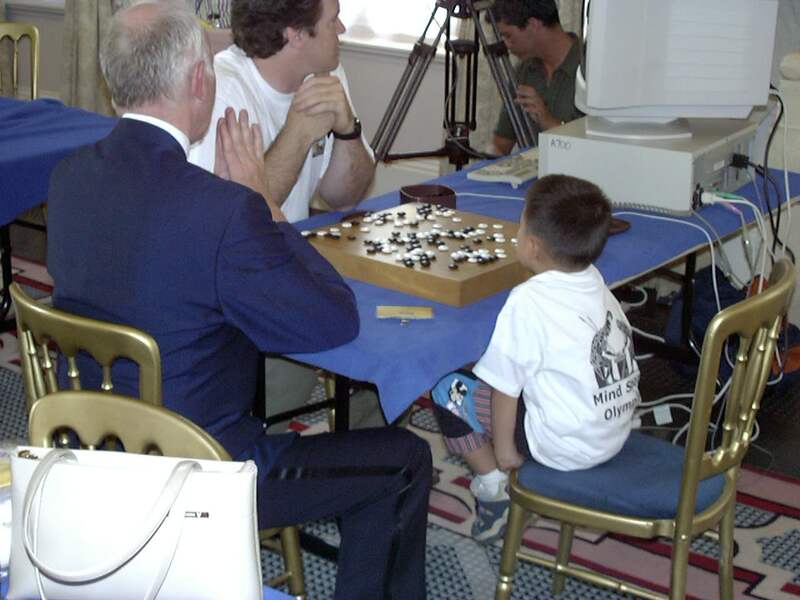 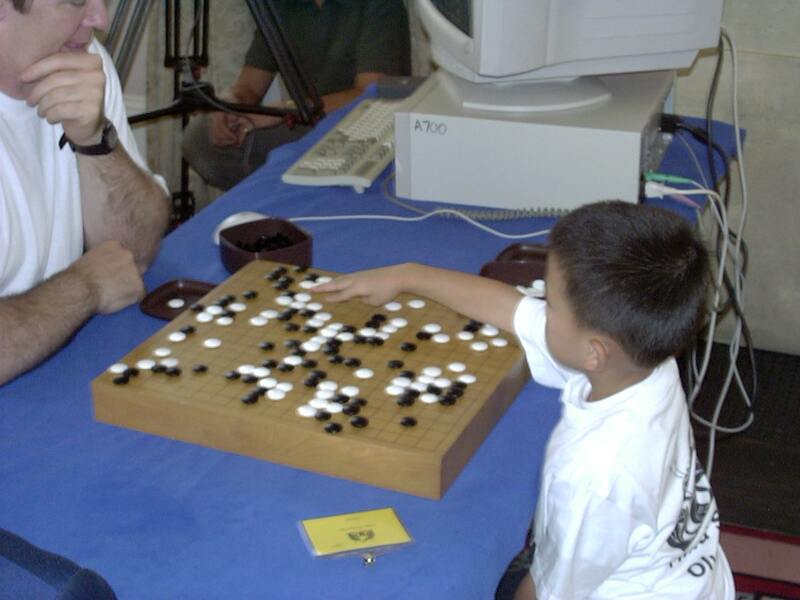 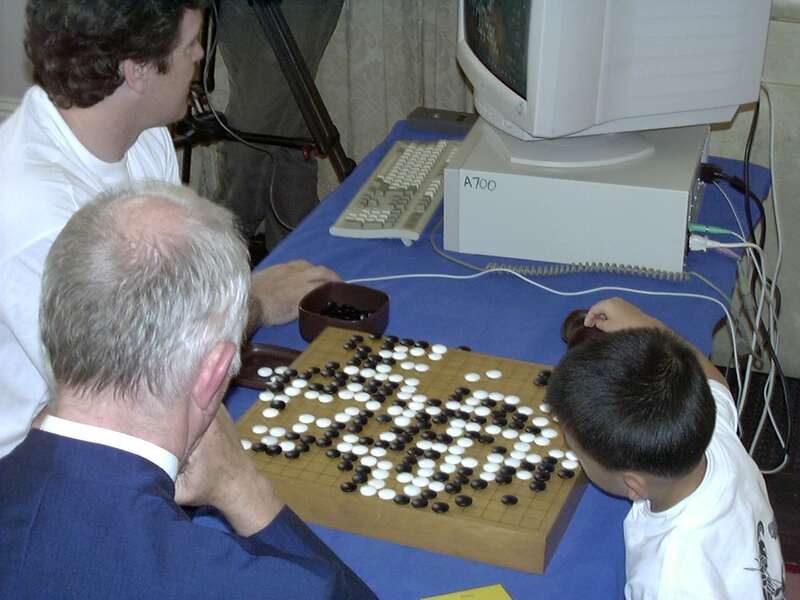 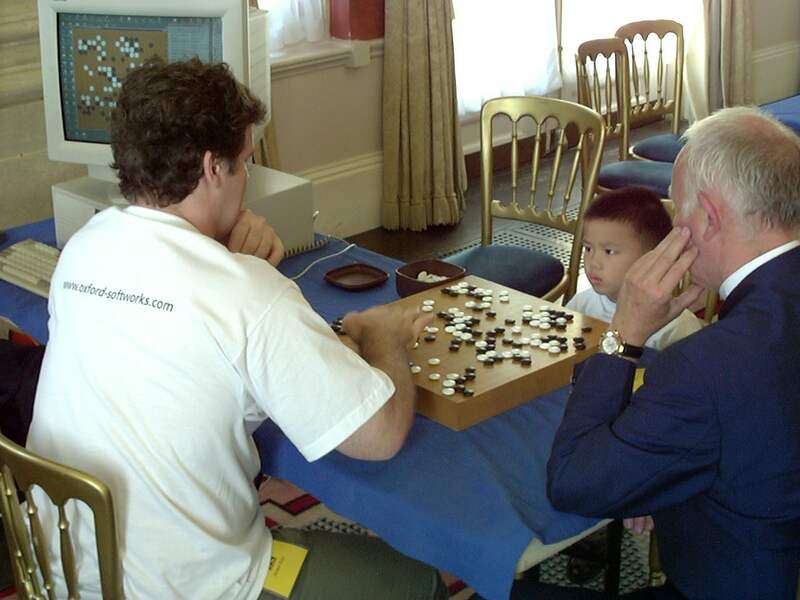 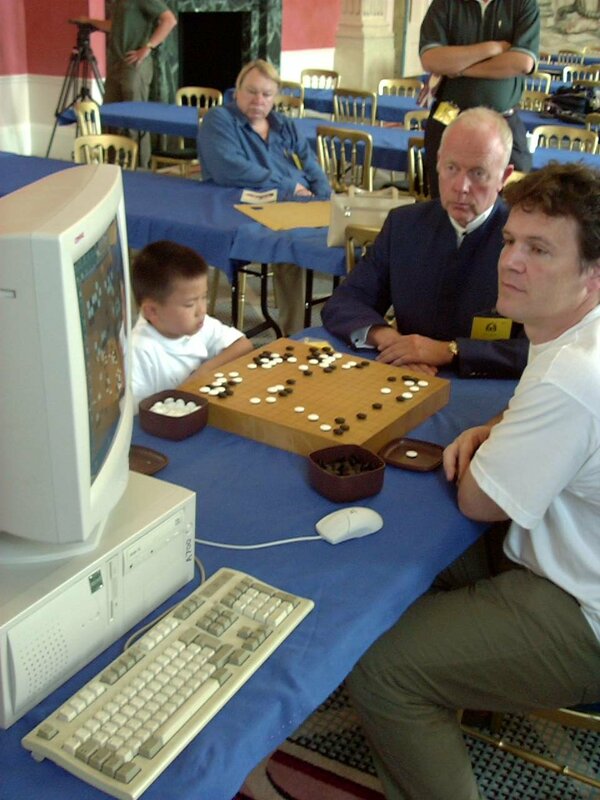 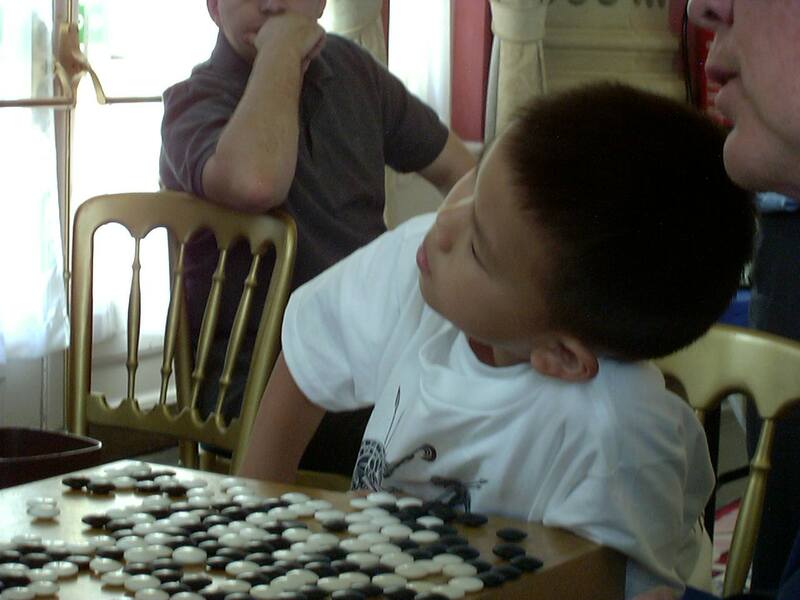 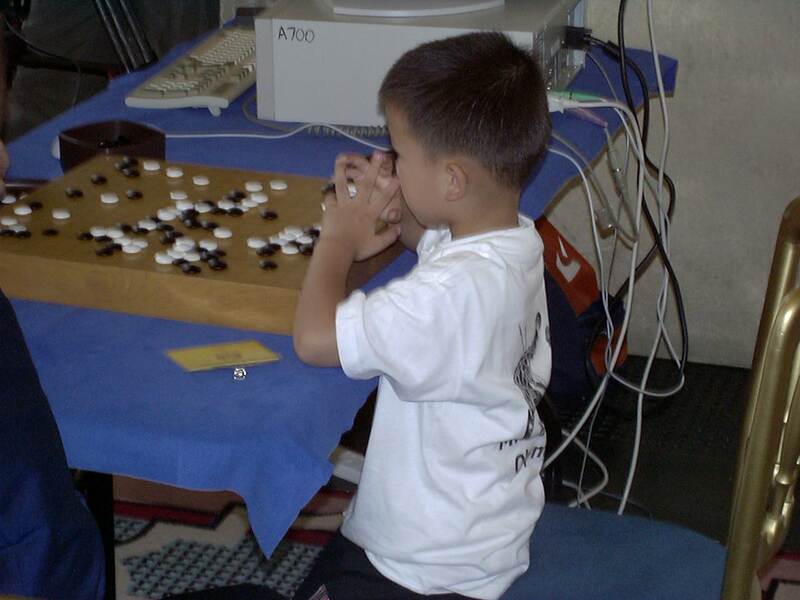 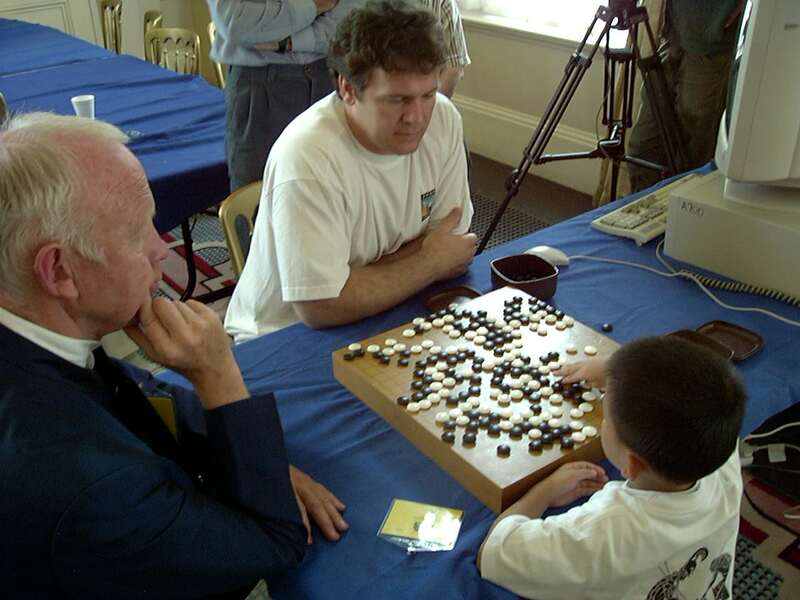 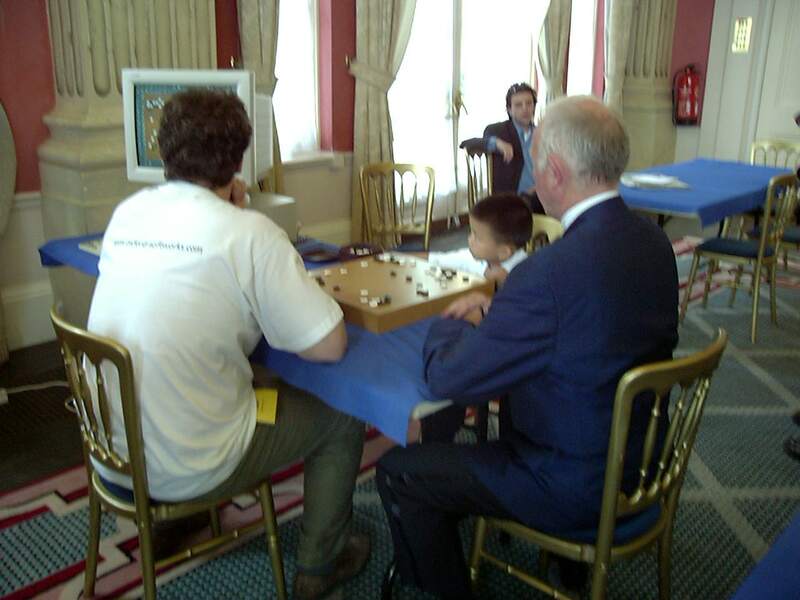 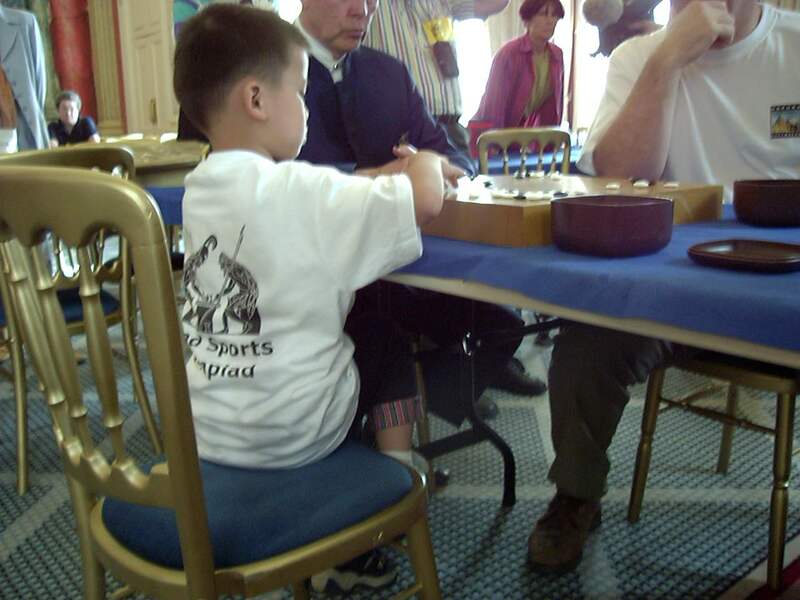 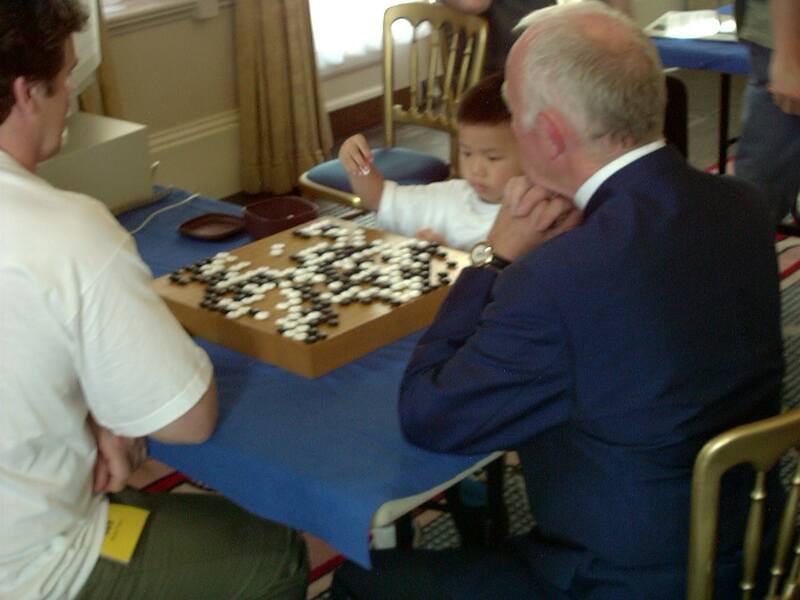 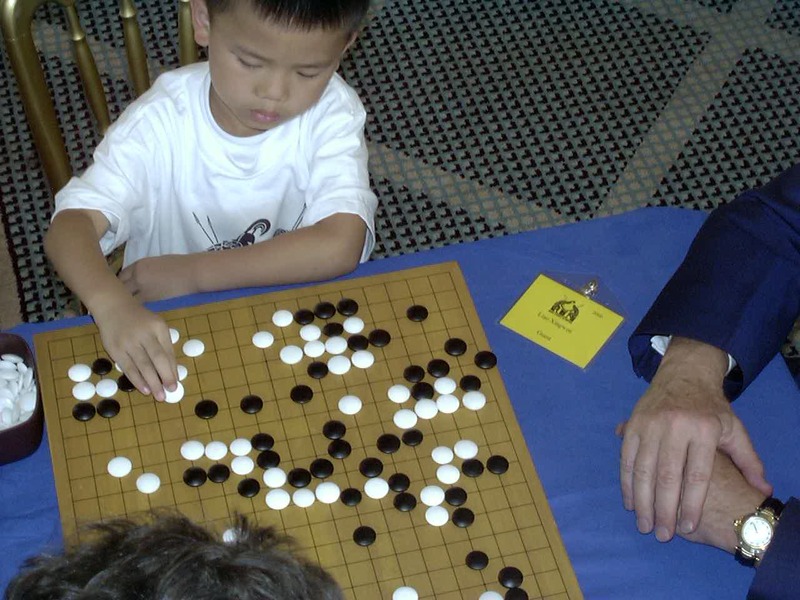 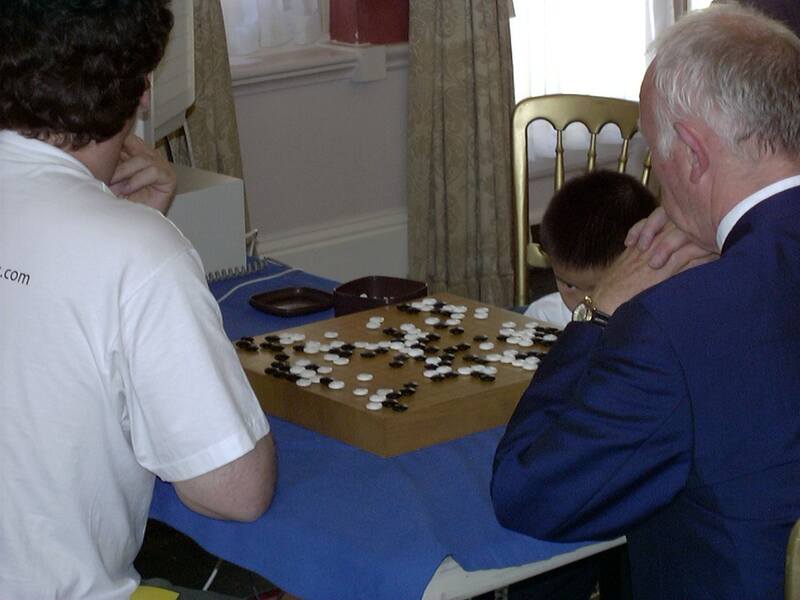 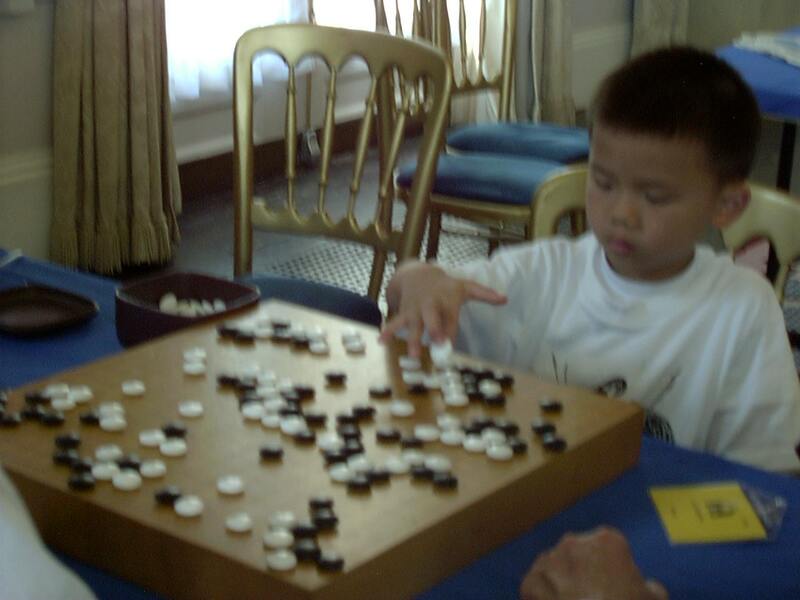 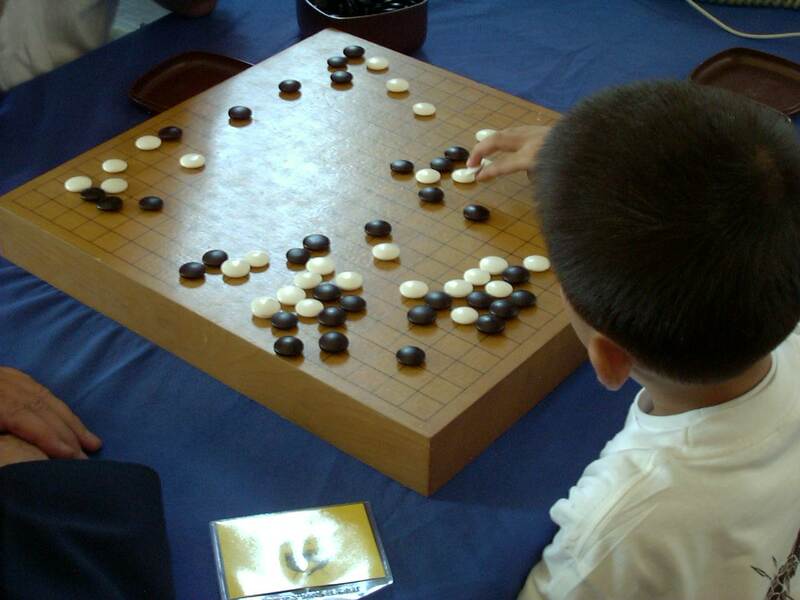 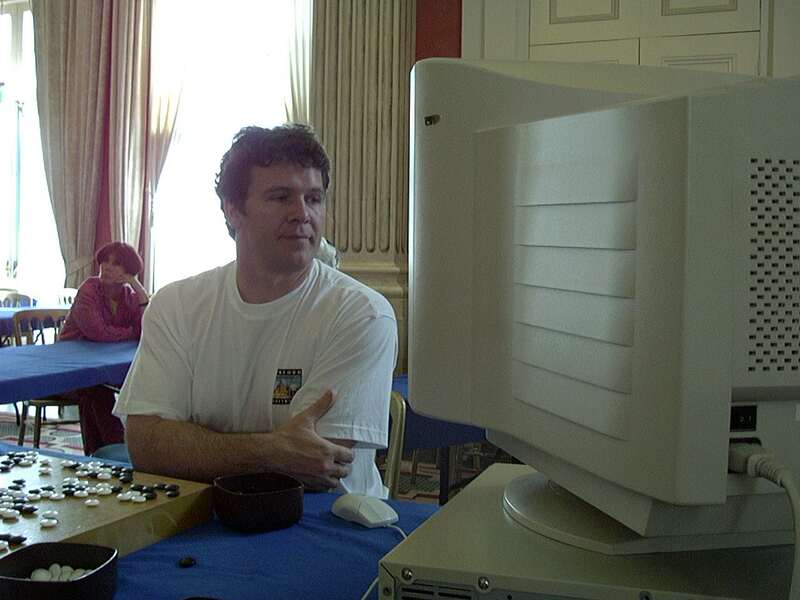 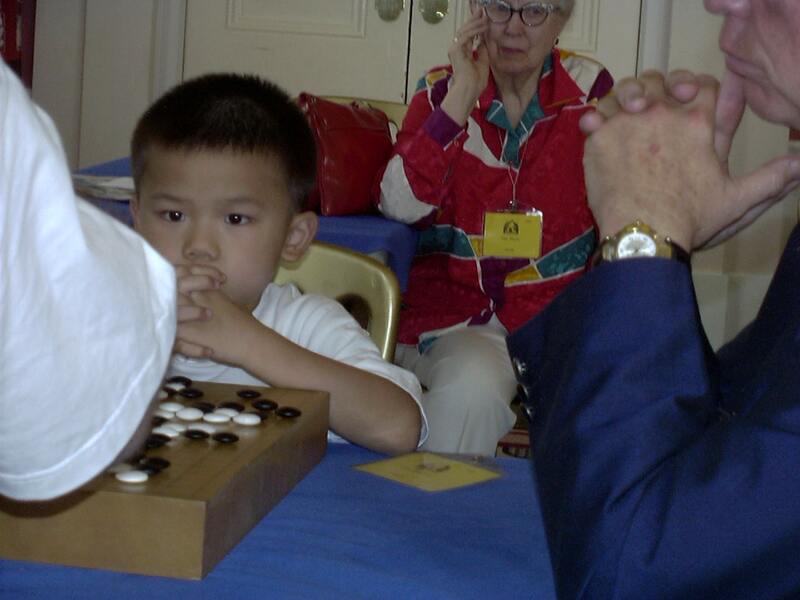 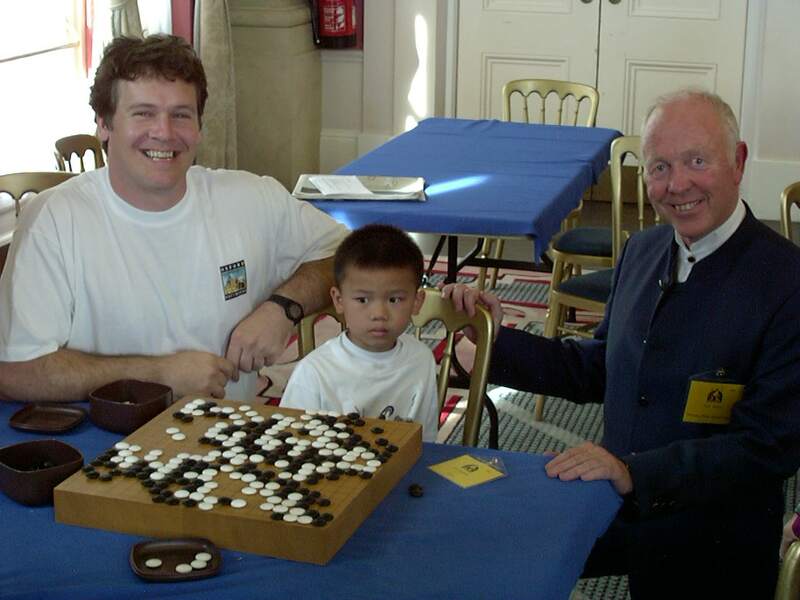 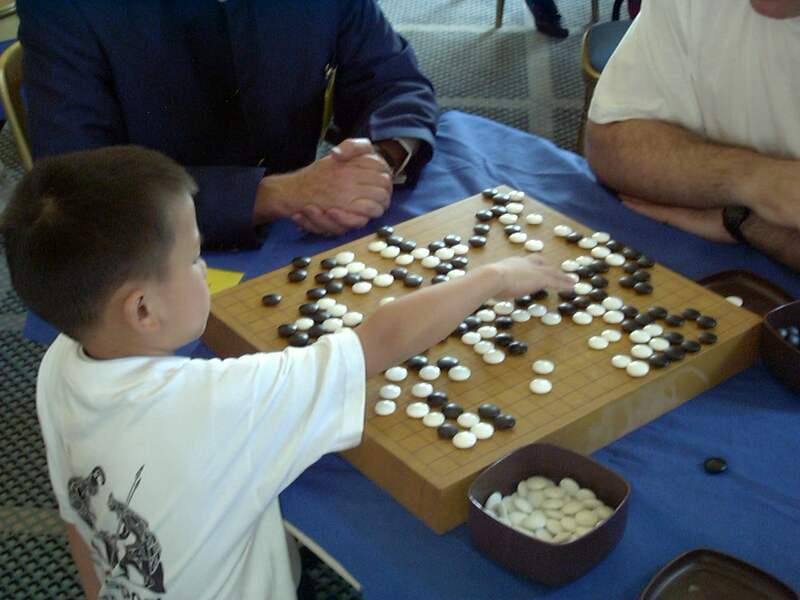 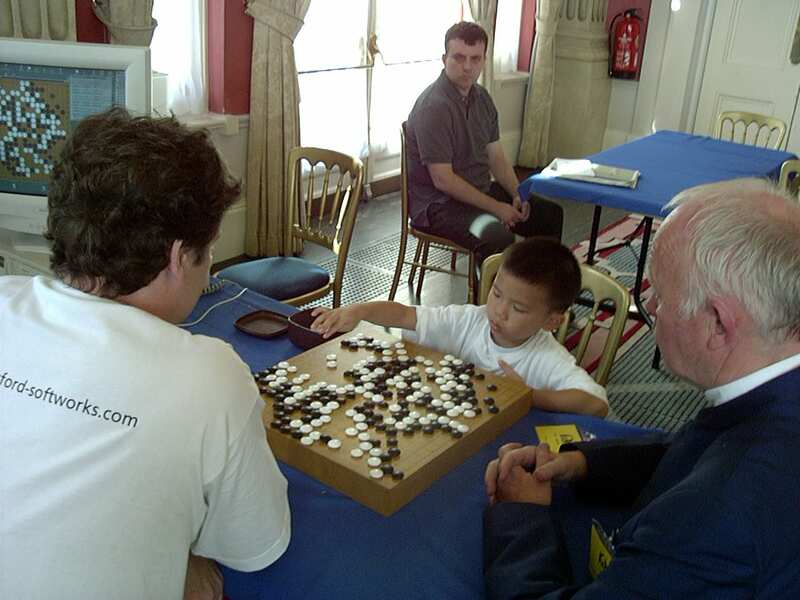 A challenge game between Liao Xingwen and Michael Reiss's computer program Go4++. 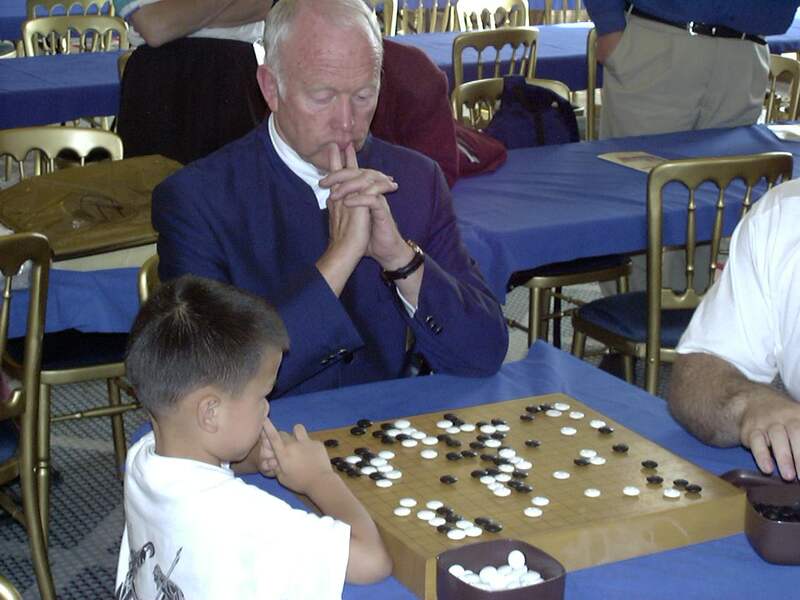 Tony Buzan is referee. 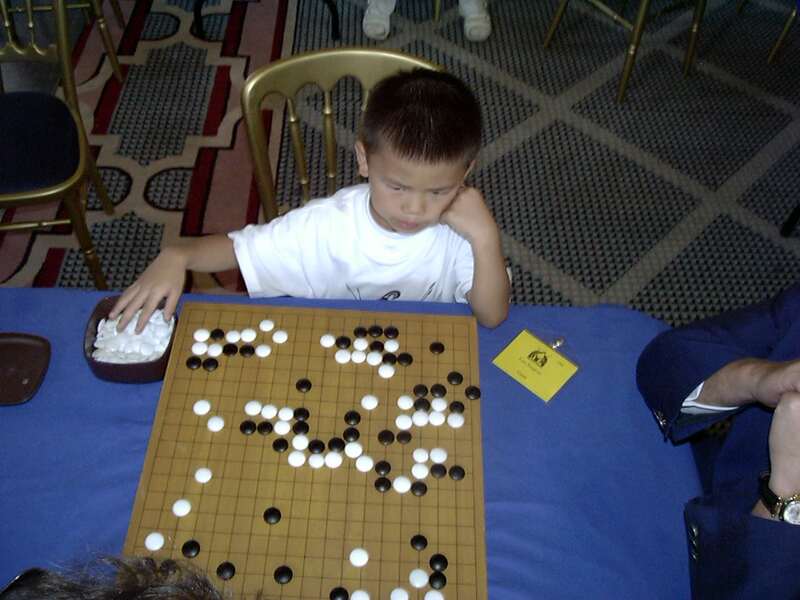 Liao Xingwen reaches across the board. 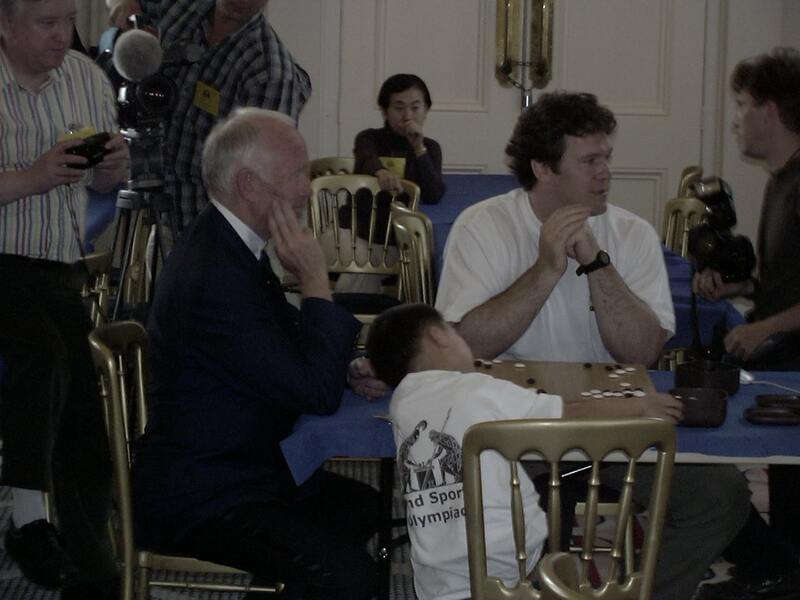 Martin Smith is in the background.